Style and danger rolled into one badass rockin' machine! The tone is big, beefy, wide and punchy but still retains clarity.The bridge pickup is slightly hotter than a vintage PAF, and the neck pickup slightly cleaner. 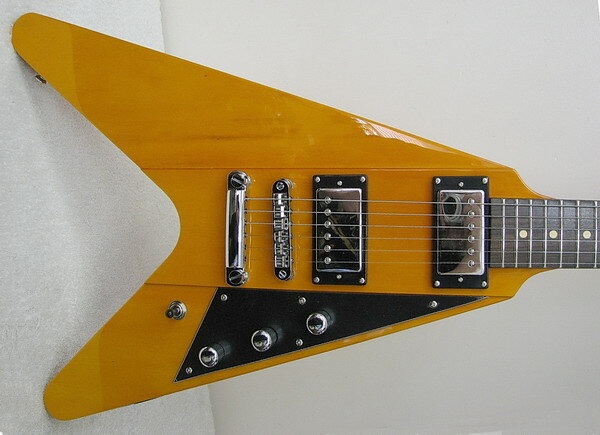 Finally, an offset V with the vintage vibe and versatility demanded by today's players.This guitar features resonant korina and solidbody construction with a raised center section on the front. 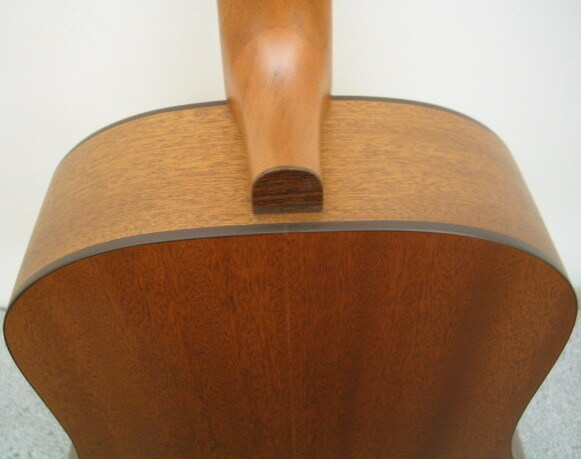 The thicker center mass improves clarity and sustain, while the thinner wings increase resonance for an instrument that is lively, clear and rich in harmonics. Click here for more details. 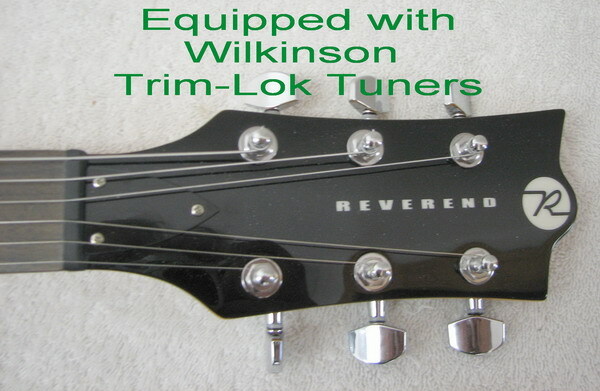 Already own a Reverend or, purchased one elsewhere that you wish could play better? 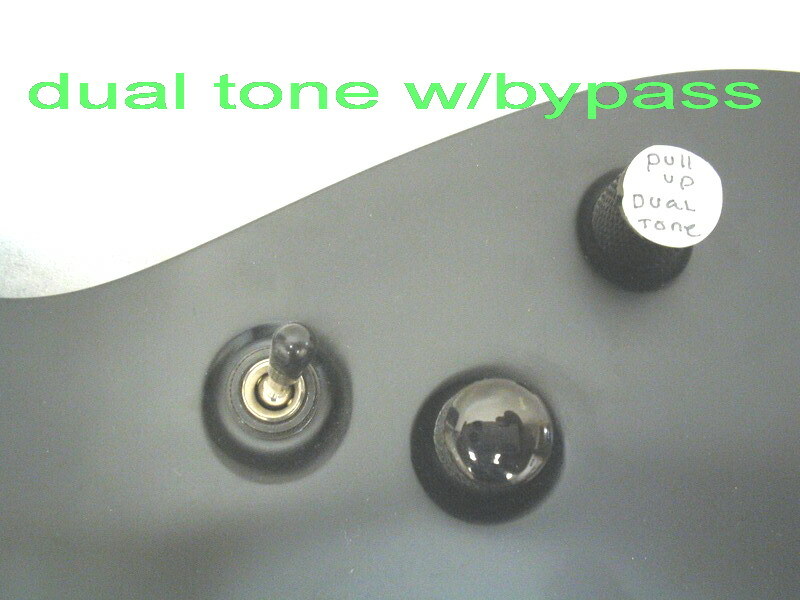 Chances are it has to be set up properly so you get the optimum playability from it.You can also get it customized by us with our own Dual Voice Tone control offering you even more tone voicings as well as true bypass mode for some extra boost. 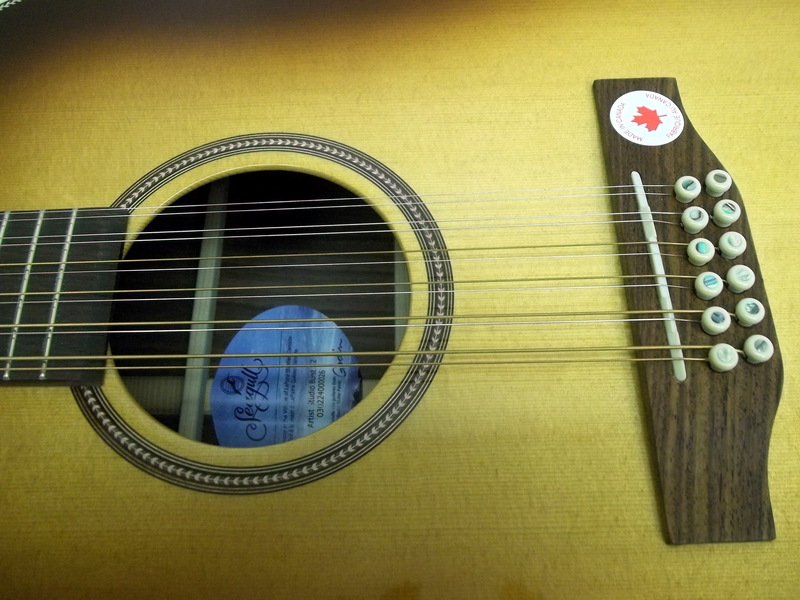 Put our 35+years of guitar repair expertise & customizing experience to work for you, like so many players have! 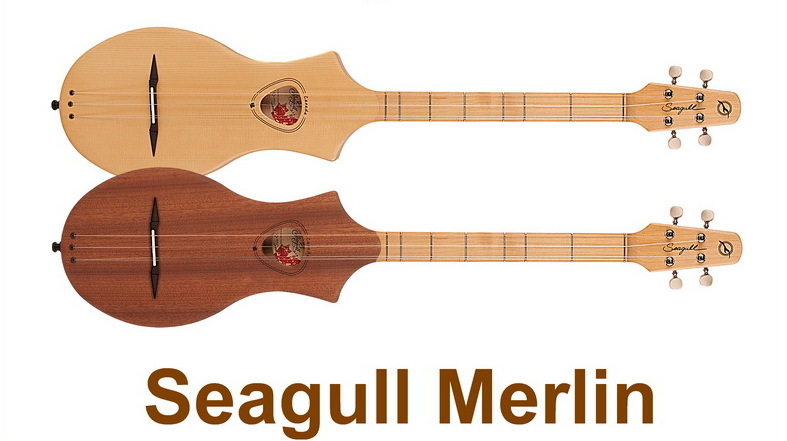 The new Seagull Merlin is the latest innovation from the clever folks at Seagull. 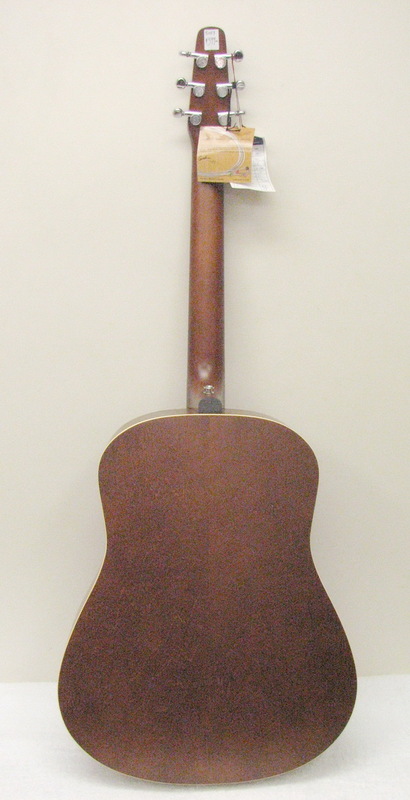 This demure looking little instrument is based on the diatonic scale and tuned accordingly,very similiarly to the dulcimer.However, you play in the conventional,guitar playing position.The Merlin's ample fret and string spacing offer easy playability for even the most novice of players.The Merlin is suitable for all players of all ages from beginner to advanced,and can "blend" into any genre of music,including folk,country,celtic,pop ,even non-traditional stuff.The Merlin ,at times can sound like a stripped down mandolin,banjo & with a little bit of tricky finger vibrato-a sitar ! 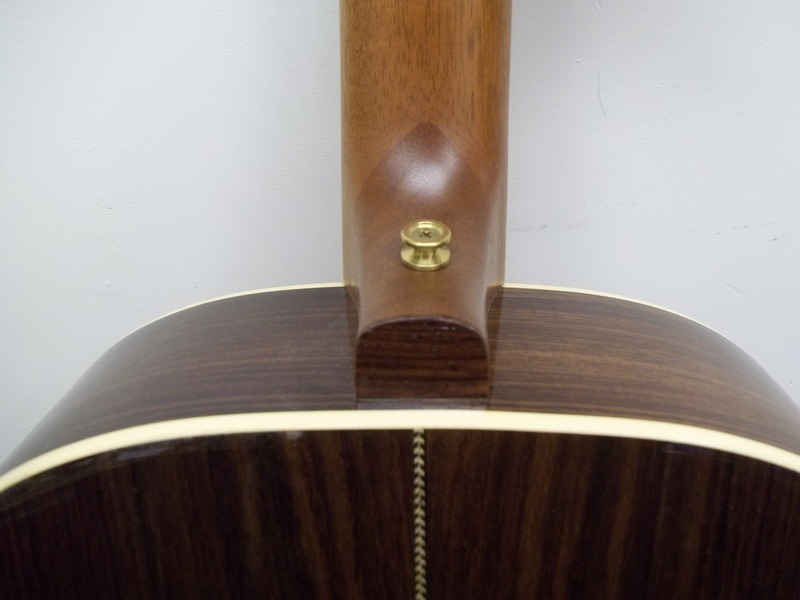 Because of it's "all-round" diatonic tuning,you'll be surprised at how fast you can be up & playing along.The neck thru design and slim,chambered spruce body is available in a spruce or mahogany top with a satin finish. you name it! 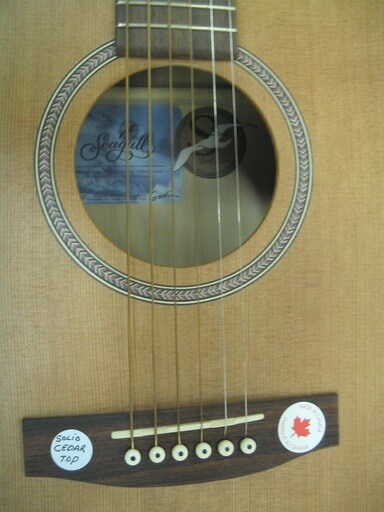 and, like all Seagulls,it's MADE IN CANADA. 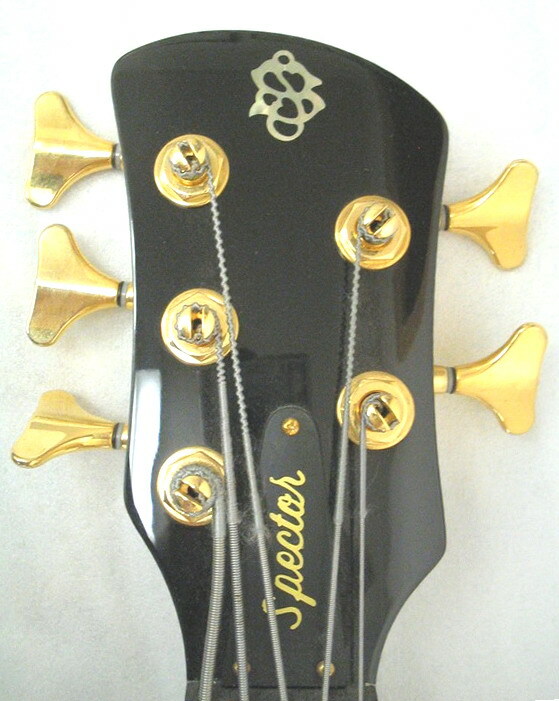 Features a gorgeous High-gloss Custom Polished Burst Finish on both the body and the bound headstock. 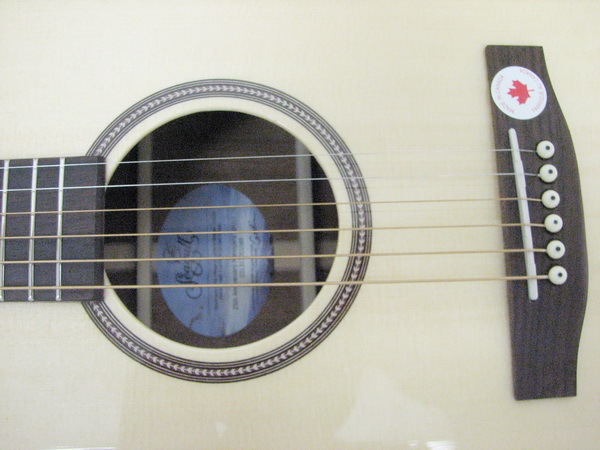 Like all Artist series models, Studio Bursts are proudly and meticulously crafted in Canada. 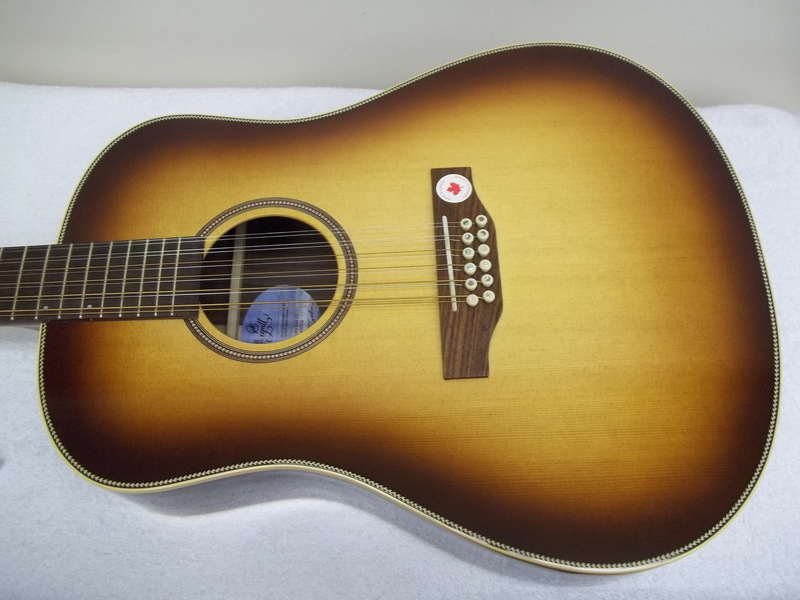 They are artfully created in a secluded acoustic studio, where some of the finest luthiers in the business are able put their care and time into bringing them to life. 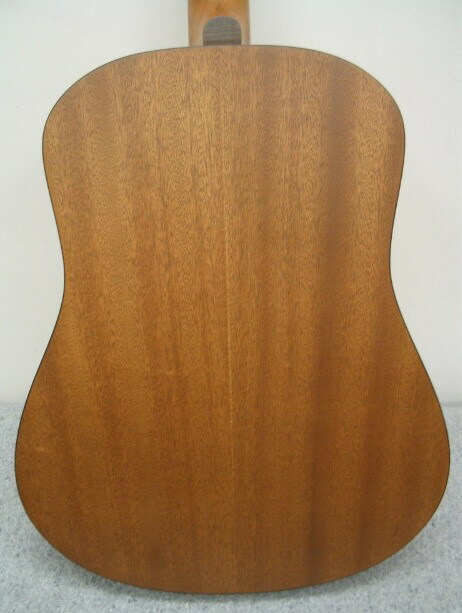 Solid spruce top with solid rosewood back & sides. 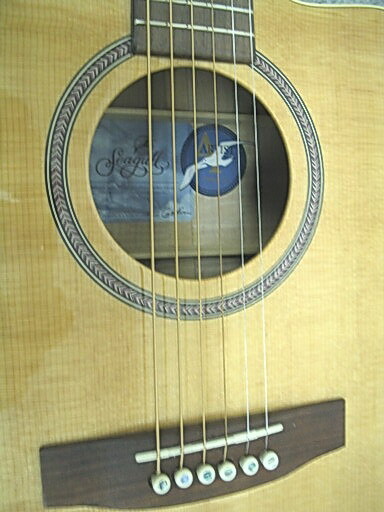 This compact, parlor size guitar is great fun to play and produces a surprisingly big sound for such a small package. 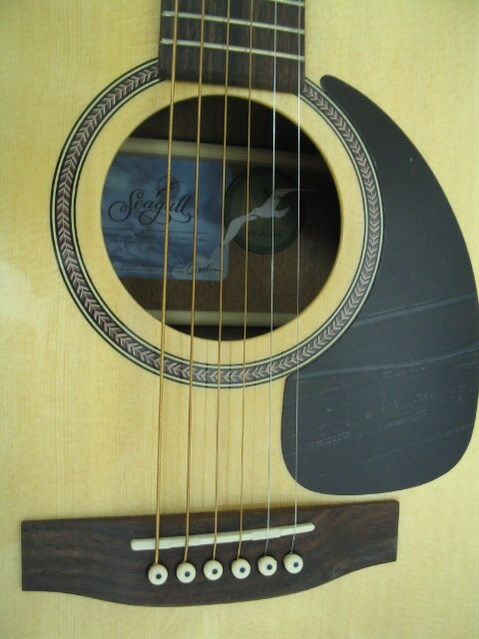 In the tradition of the award winning S6 Original, the Entourage Rustic S6 brings incredible value to players looking for undeniable sound and craftsmanship in an acoustic guitar. 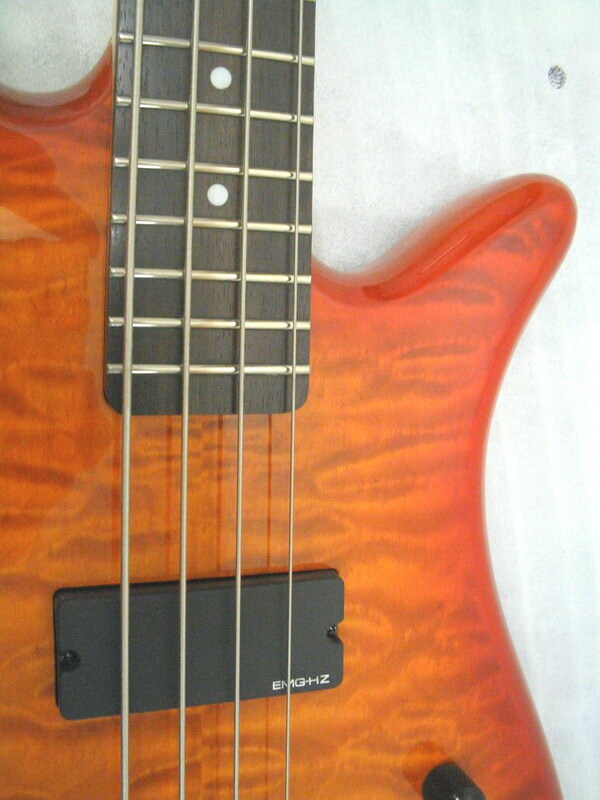 Features include the beautiful Rustic Burst Custom Polished finish, Seagull Slim neck with slimmer nut width, cream double binding and select pressure tested solid cedar top.Now equipped with the updated Godin Q1T- under saddle pickup system with onboard rotary treble,bass,volume controls and chromatic tuner. 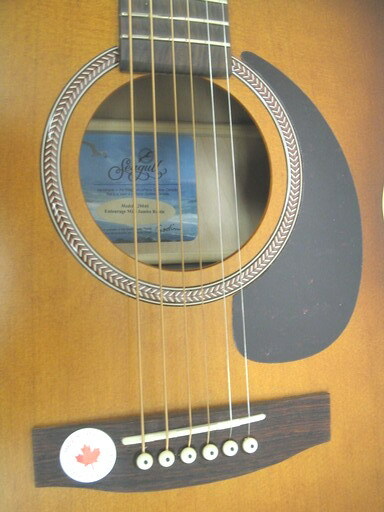 Our price includes our own custom shop setup:professionally levelled & profiled frets,contoured fretboard edges,superior string action set up for superb,effortless playability,premium level padded gigbag and,TWO YEAR free,seasonal maintenance coverage. 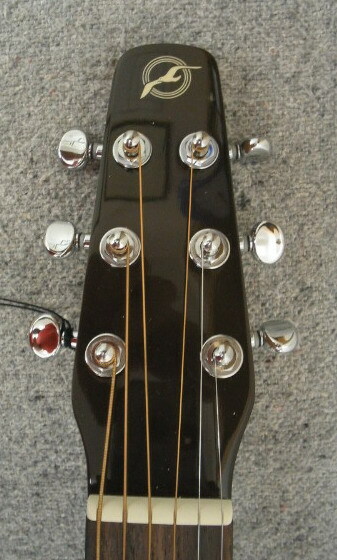 Same specs as above BUT in an acoustic-electric version now equipped with the updated Godin Q1T- under saddle pickup system with onboard rotary treble,bass,volume controls and chromatic tuner.Our price includes our own custom shop setup:professionally levelled & profiled frets,contoured fretboard edges,superior string action set up for superb,effortless playability,premium level padded gigbag and,TWO YEAR free,seasonal maintenance coverage. 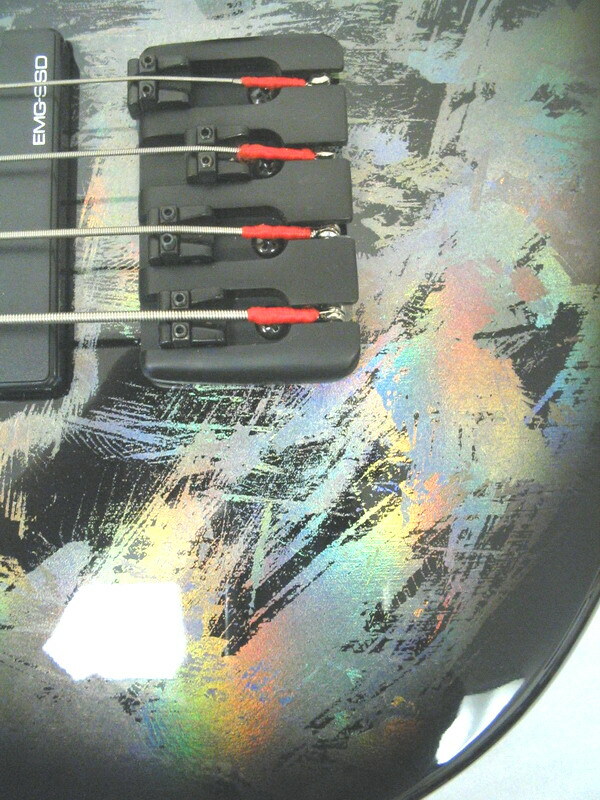 The M6 Gloss features a high gloss lacquer finish. 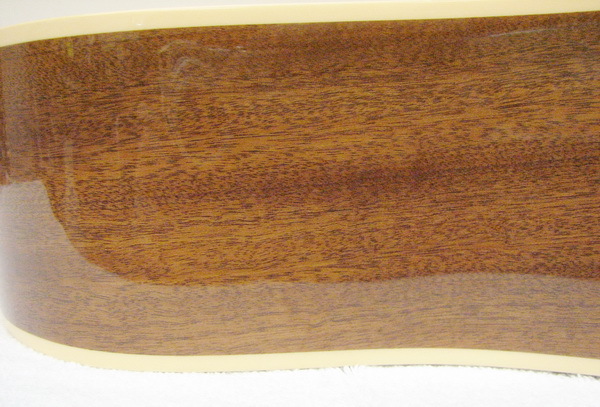 This finish provides excellent protection but at the same time is extremely light and elastic. 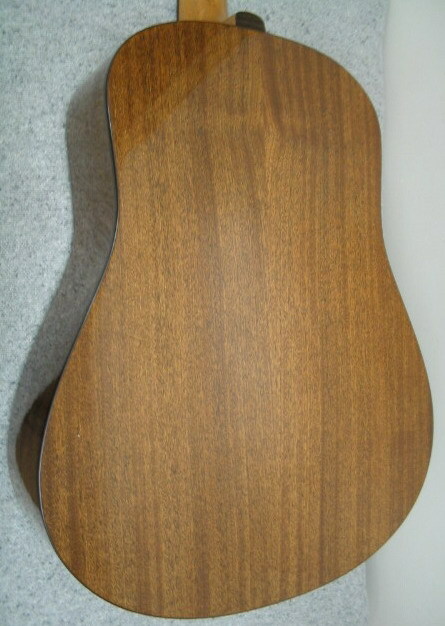 This is a crucial point in both the sound of the guitar and its ability to age - a thick finish muffles a guitar's vibration and blocks aging.Our price includes our own custom shop setup:professionally levelled & profiled frets,contoured fretboard edges,superior string action set up for superb,effortless playability,premium level padded gigbag and,TWO YEAR free,seasonal maintenance coverage. 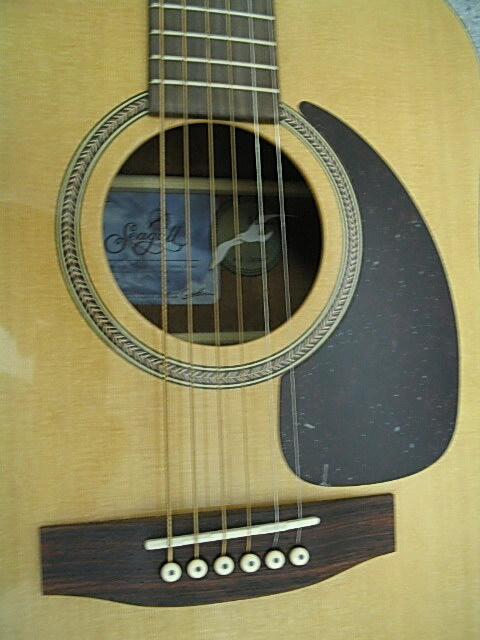 Same specs as model abobe but with the addition of the Fishman under sadle pickup system with recesses volume & tone controls hidden from view ,in the soundhole. 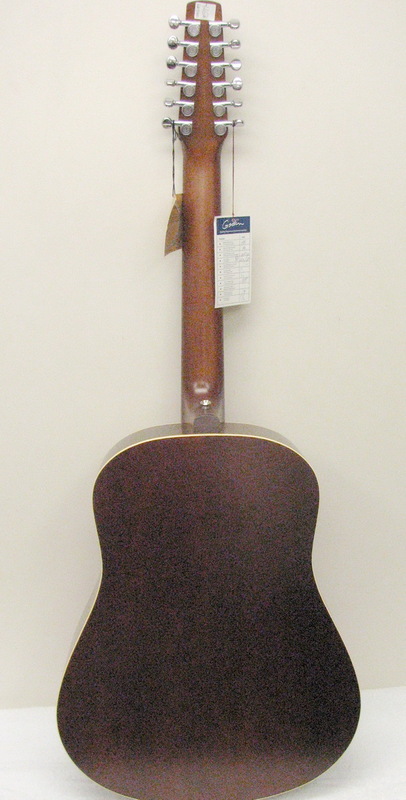 Acoustic-electric model with aged solid spruce top offers an enhanced sweet tone & sustain.L.R. 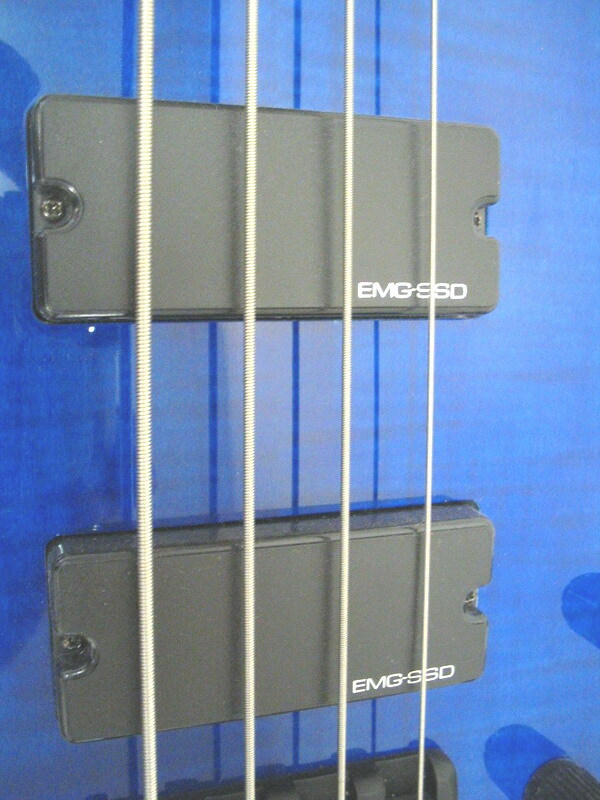 Baggs Element under saddle pickup and active eq system. 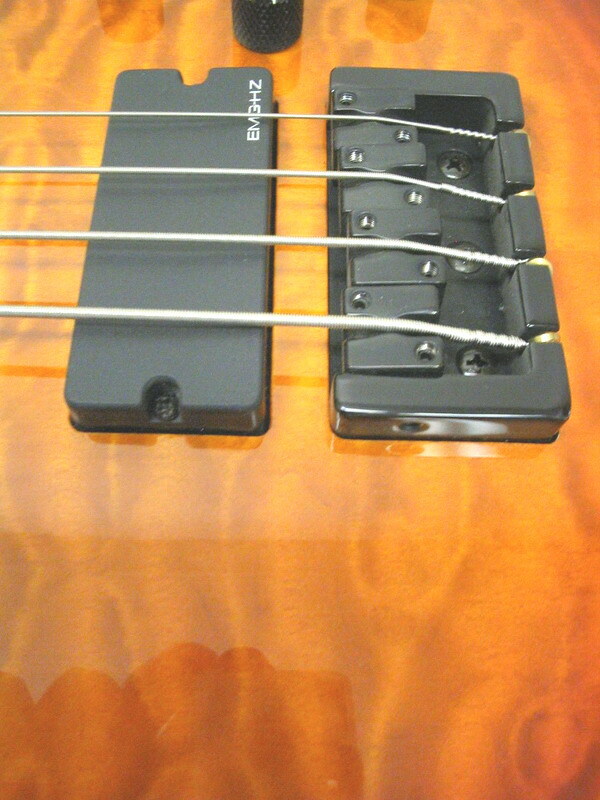 Graphtech Tusq nut and compensated saddle Our price includes our own custom shop setup:professionally levelled & profiled frets,contoured fretboard edges,superior string action set up for superb,effortless playability,premium level padded gigbag and,TWO YEAR free,seasonal maintenance coverage. 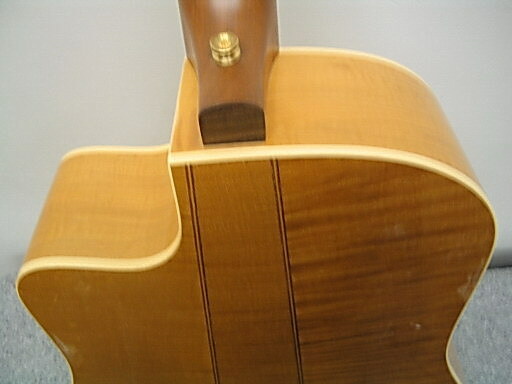 This concert size model is based on the dimensions of a classical guitar. 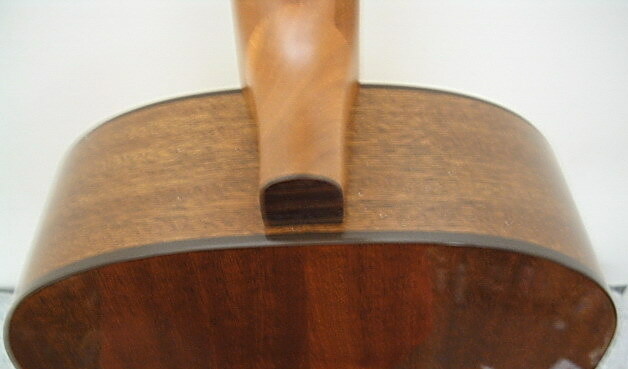 The smaller body size enhances the instrument's sound in the mid-range. 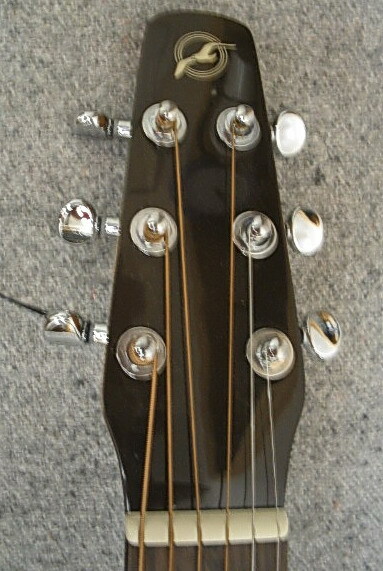 The Folk is an excellent choice for fingerstyle playing. 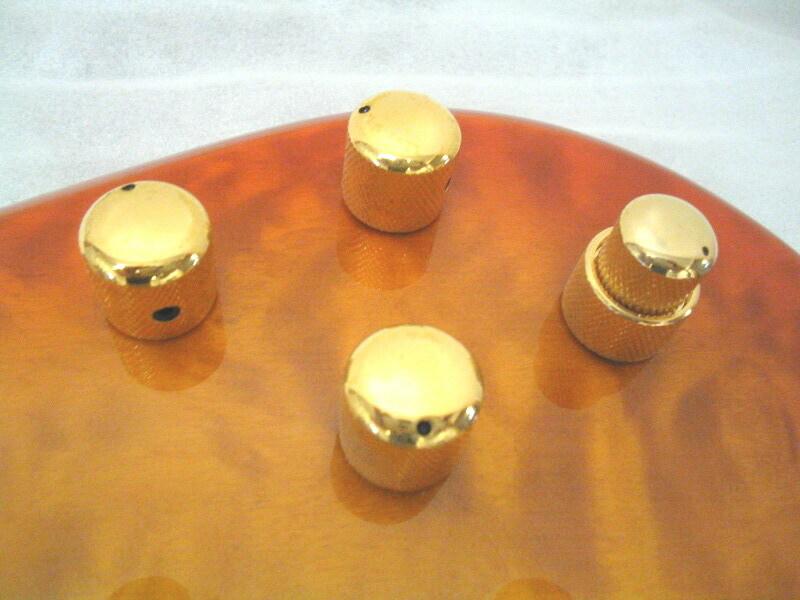 Featuring a solid cedar top for warm,resonant tone. 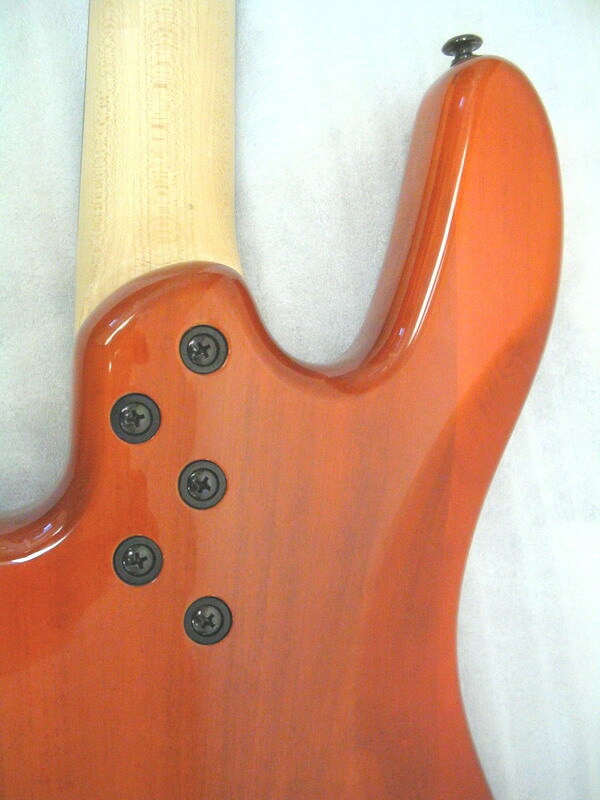 Back & sides of Canadian wild cherry.A silver leaf maple neck feature 21 nickel silver frets,professionally levelled & finished in our own shop to play superbly with easy action.The rosewood bridge features a GraphTech compensated saddle for improved intonation and the rosewood fingerboard sports a Graptech Tusq nut for improved note definition.Sealed,diecast tuners allow smooth,stable tuning.Natural,semi-gloss laquer finish. 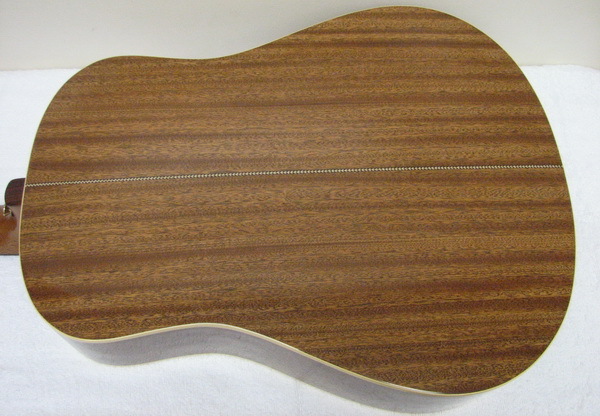 Our price includes our own custom shop setup:professionally levelled & profiled frets,contoured fretboard edges,superior string action set up for superb,effortless playability,premium level padded gigbag and,TWO YEAR free,seasonal maintenance coverage. 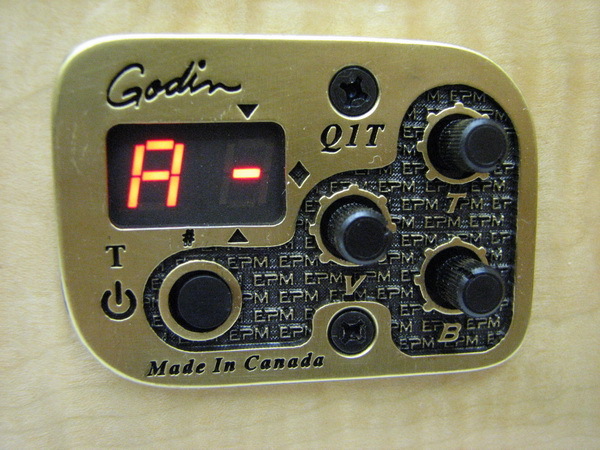 Same features as the model above but with the added Godin under saddle pickup & equalizer system. 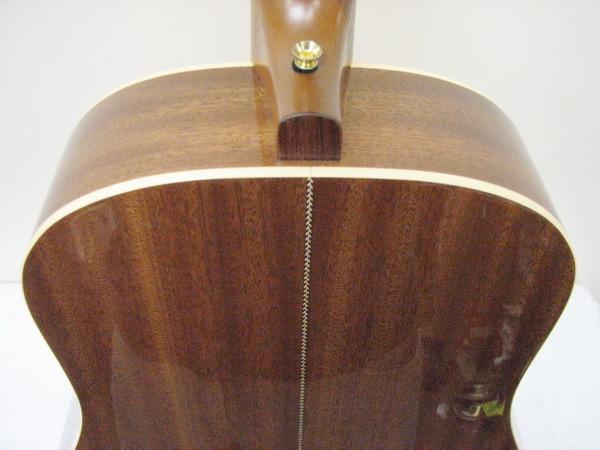 Our price includes our own custom shop setup:professionally levelled & profiled frets,contoured fretboard edges,superior string action set up for superb,effortless playability,premium level padded gigbag and,TWO YEAR free,seasonal maintenance coverage. 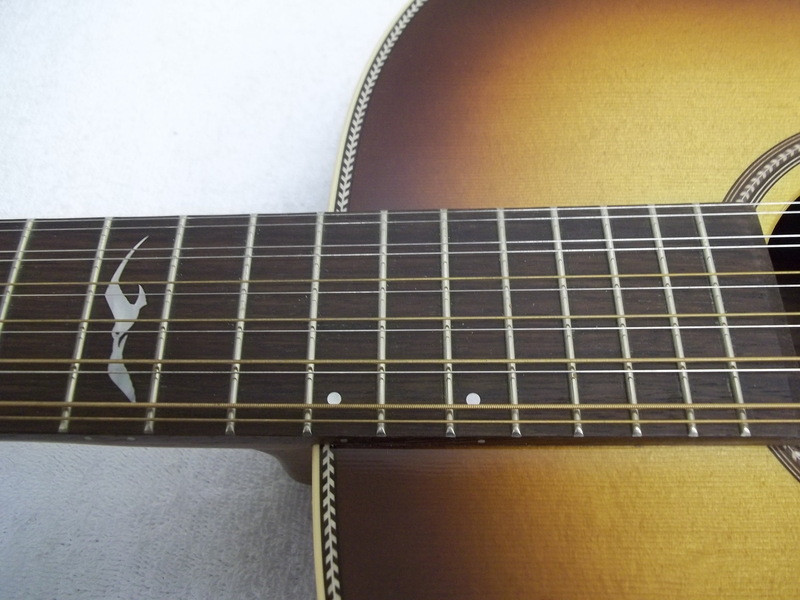 The Seagull S8 Mandolin is an acoustic mandolin that offers players the opportunity to experience the great feel and superb sound provided by a hand finished neck, solid sitka spruce top and a Custom Polished Burnt Umber Finish. 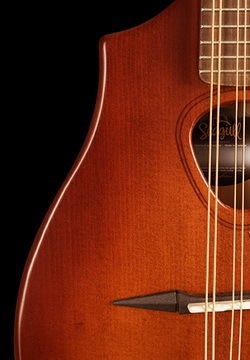 The Seagull S8 Mandolin Sunburst offers players the opportunity to experience the great feel and superb sound provided by a hand-finished neck, solid sitka spruce top and a Custom Polished Finish. 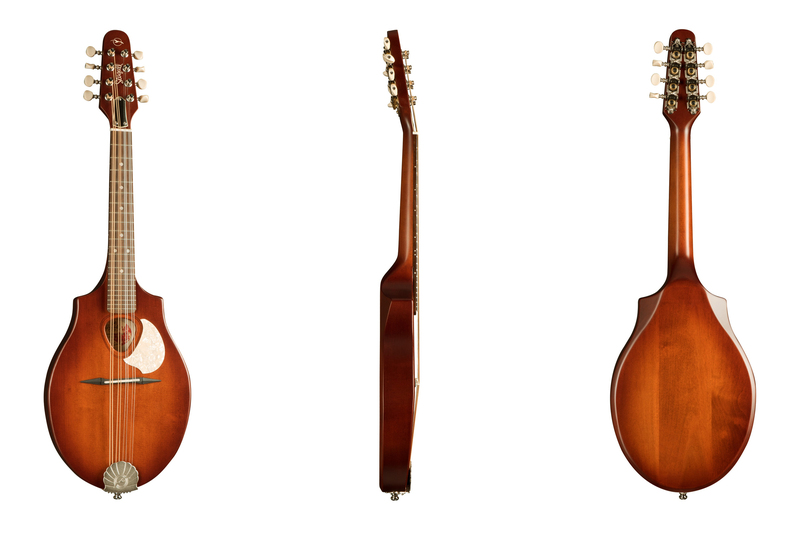 Featuring the inclusion of an undersaddle pickup and Seagull proprietary preamp with volume and tone controls conveniently placed directly on the mandolin’s top ,this addition makes it possible to take this mandolin right to the stage with a high-fidelity pickup system. 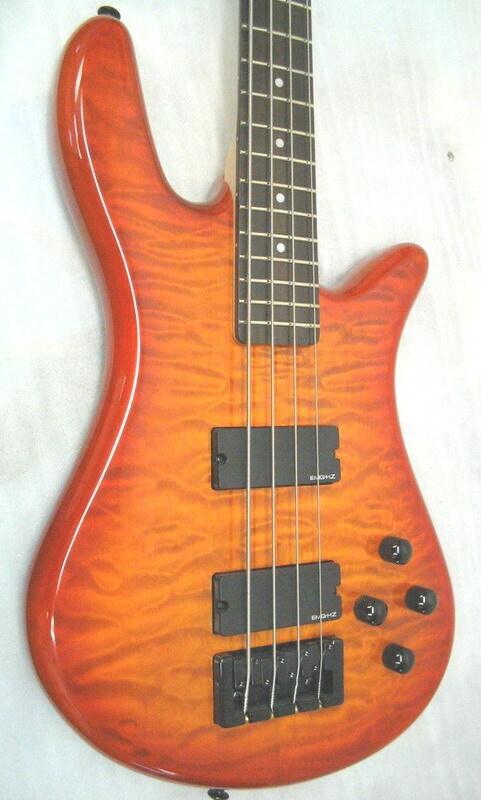 Featuring a select solid cedar top warm rich tone and sustain.Wild cherry back & sides.Canadian SilverLeaf maple neck with rosewood fingerboard.Tusq nut and compensated saddle for more accurate tuning and stability.Semi-gloss custom polished finish.Double bound body,bound headstock.Diecast,adjustable tuners. 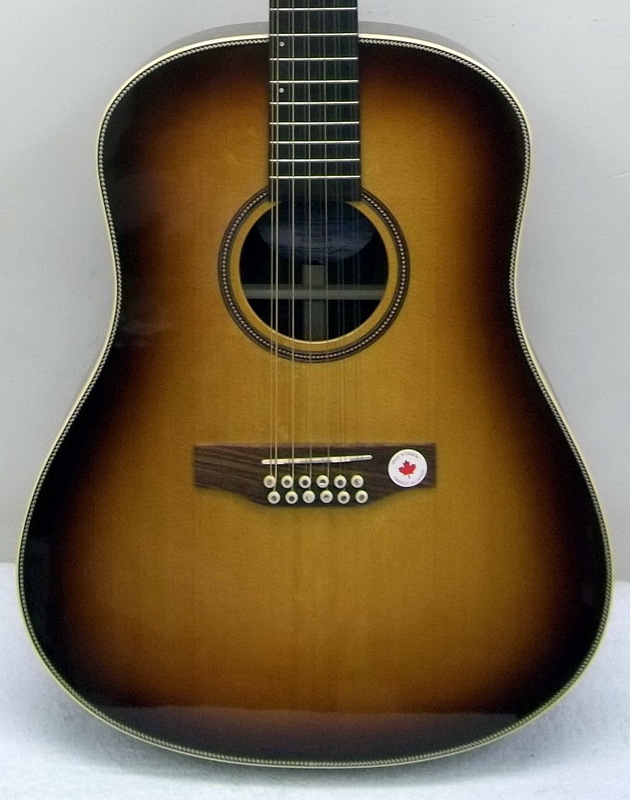 The Limited Edition Anniversary Mahogany Spruce features a high-gloss mahogany veneer on the headstock, all solid wood, with solid mahogany back & sides, which in combination with the solid spruce top, produces a sweet, warm & mellow tone. Click here for more details. 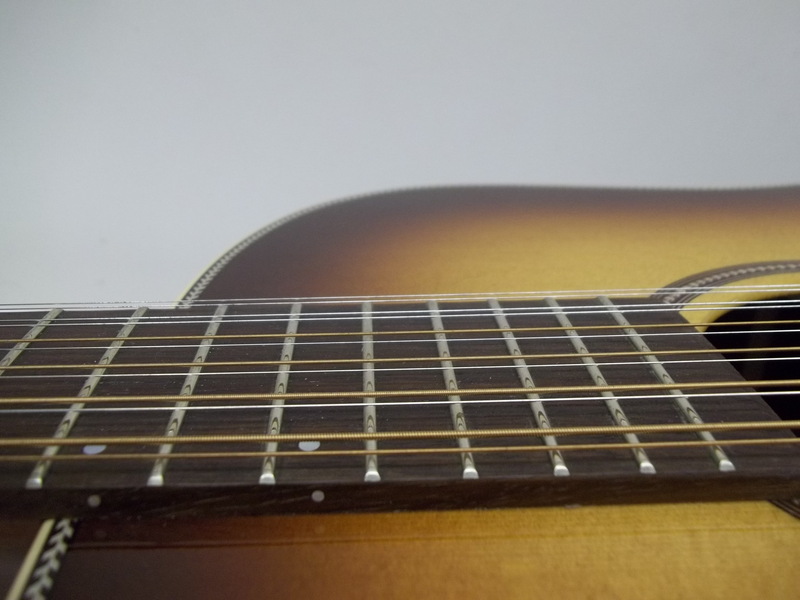 Our price includes our own custom shop setup:professionally levelled & profiled frets,contoured fretboard edges,superior string action set up for superb,effortless playability,premium level padded gigbag and,TWO YEAR free,seasonal maintenance coverage. 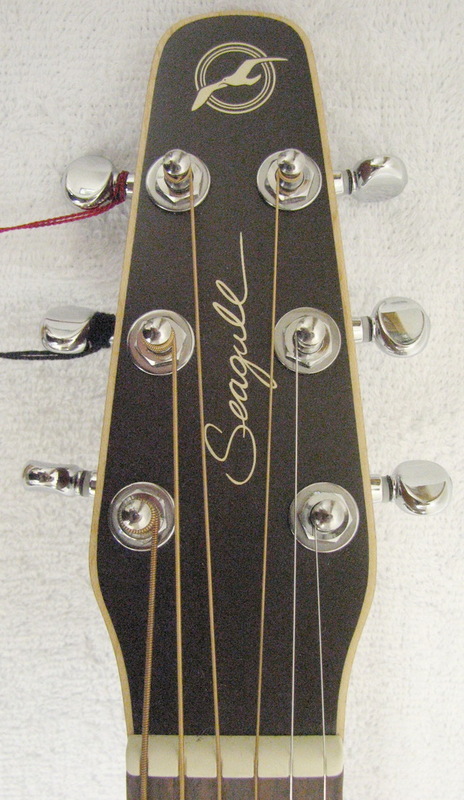 Already own a Seagull or, purchased one elsewhere that doesn't seem to play right or wish would play better? 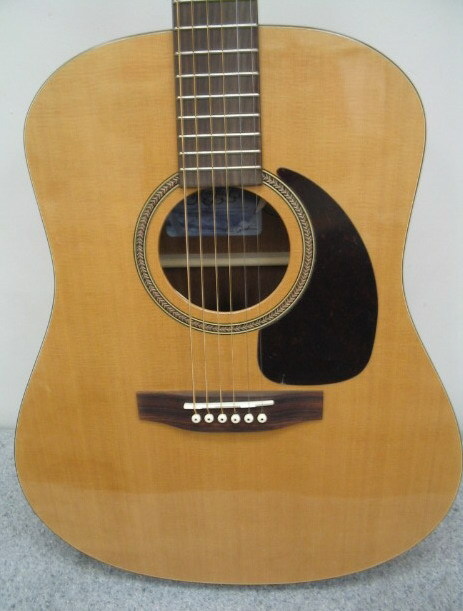 Chances are it has to be set up properly so you get the optimum playability,comfortability and tone from it. 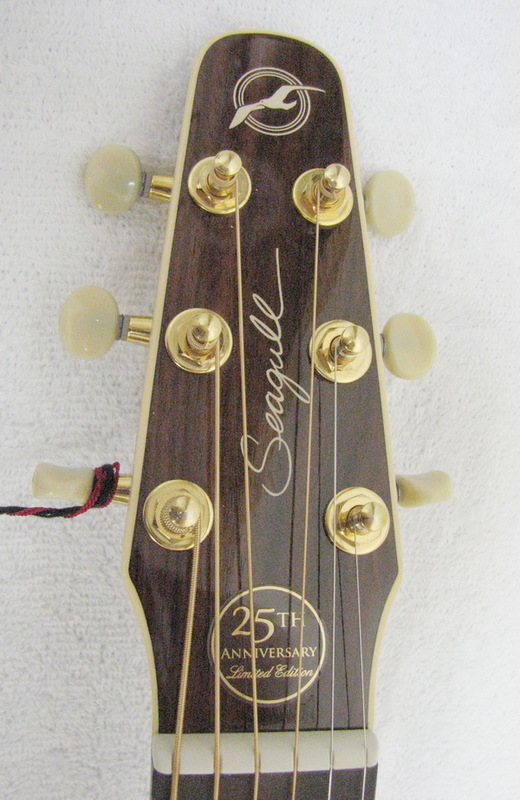 Put our 40+years of guitar repair expertise & customizing experience to work for you, like so many players have! 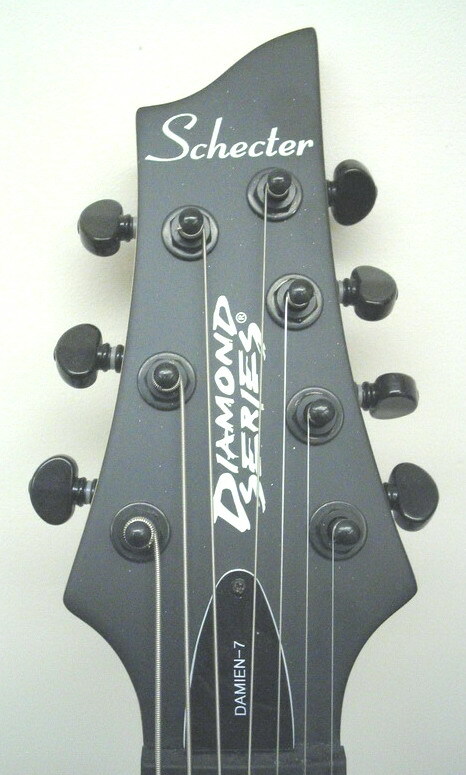 Schecter Diamond Plus pickups • Beveled Body contours • Hand cut and contoured heel • Tune O Matic Bridge. Basswood body with bevelled edge contours topped with a quilted gravura finish.25.5 inch scaled,rosewood fingerboard with 24 extra jumbo frets.Chrome plated die-cast tuners for precise,smooth tuning. 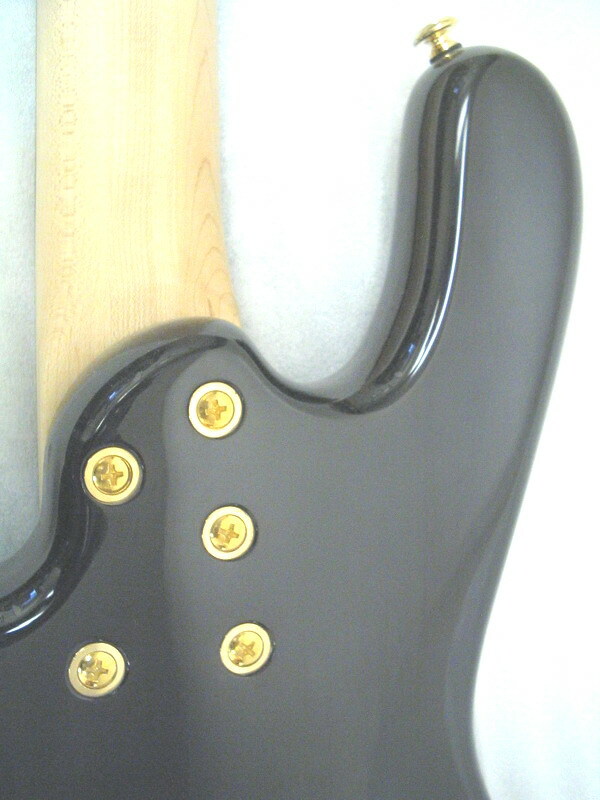 14 inch fretboard radius for easy string bending with a thin "C" maple neck profile and 4-bolt assembly. HardFoam case and our own free ,TWO YEAR seasonal maintenance coverage. HardFoam case and our own free, TWO YEAR seasonal maintenance coverage. 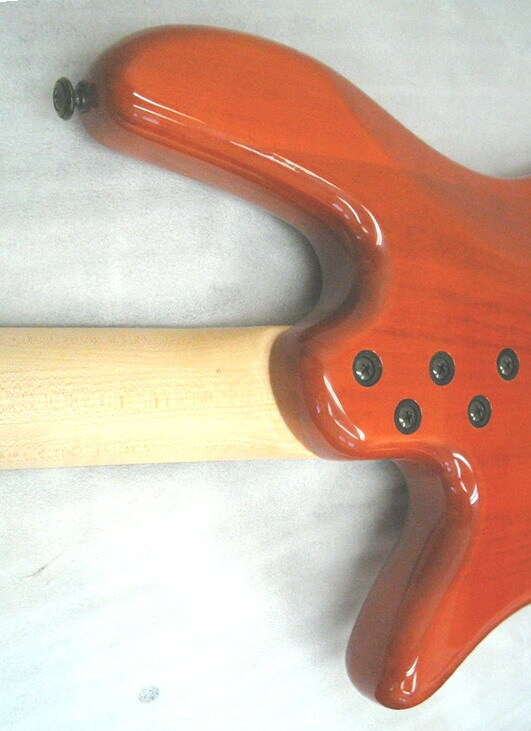 Mahogany body with bevelled edge contour capped with a flamed maple top gloss finish.24.75 inch scaled rosewood fingerboard with 24 extra jumbo frets and a combo of abalone/pearloid split postion markers. 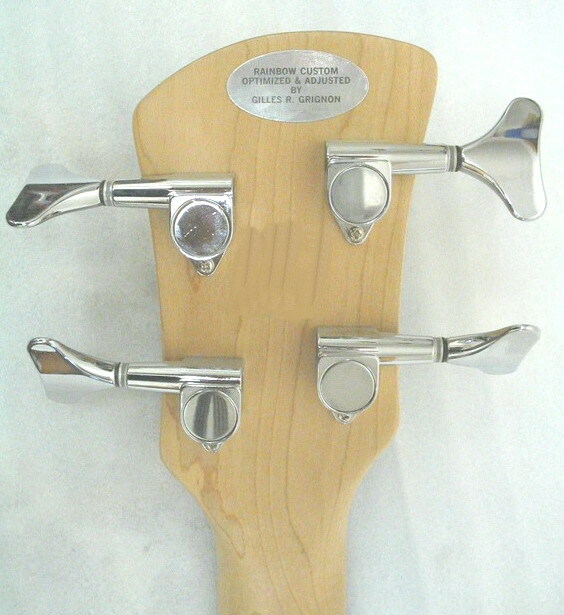 .Chrome plated die-cast tuners for precise,smooth tuning. 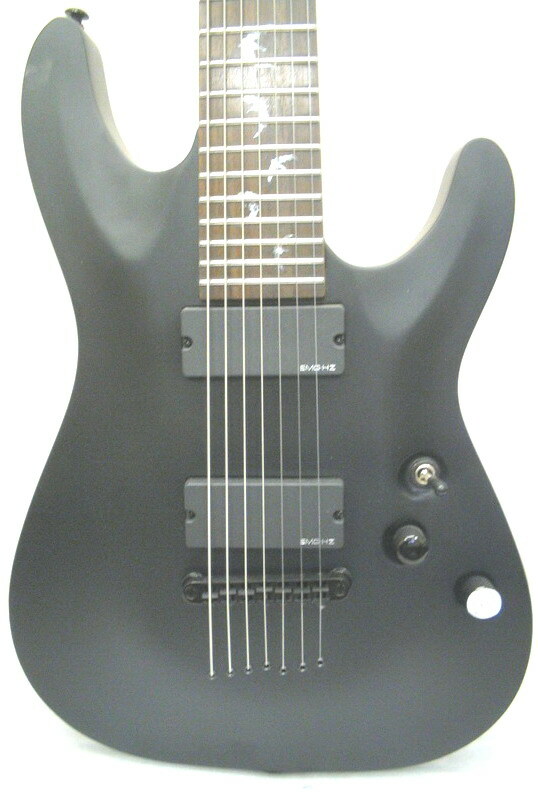 The C-1 SGR by Schecter combines Schecter's most popular body styles in an extremely affordable package. Playability, style, quality and inspiration combine to give you a guitar built for a professional, with a beginner's guitar price tag. Featuring basswood bodies, rosewood fretboards, SGR by Schecter Diamond Plus humbuckers and a simple, sleek design, Schecter's SGR C-1 is setting a new standard. ll Schecters from OUR shop are individually customized to play and perform superbly,thanks to our own pro-level fretwork,shielding as well as our own custom design Dual Voice Tone control that offers much more tonal variety than "stock' Schecters sold anywhere else. We also include a premium padded gigbag,AND we cover all Schecters from our store with our own TWO YEAR,free,seasonal maintenance coverage. 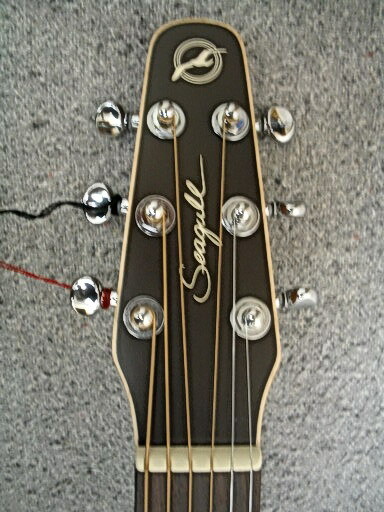 When you get a Schecter from us,you simply get the best bang-for-your-buck before,and,after the sale. All Schecters from OUR shop are individually customized to play and perform superbly,thanks to our own pro-level fretwork,shielding as well as our own custom design Dual Voice Tone control that offers much more tonal variety than "stock' Schecters sold anywhere else. 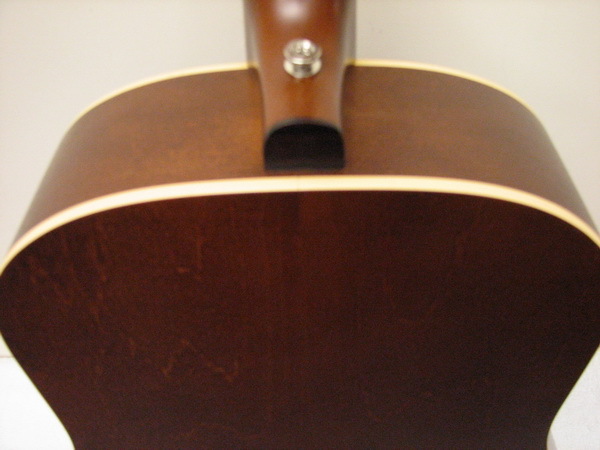 Our custom shop set-up makes guitars from OUR shop play like MUCH higher priced instruments,without denting your debit card in the process either. We also include a premium padded gigbag,AND we cover all Schecters from our store with our own TWO YEAR,free,seasonal maintenance coverage. 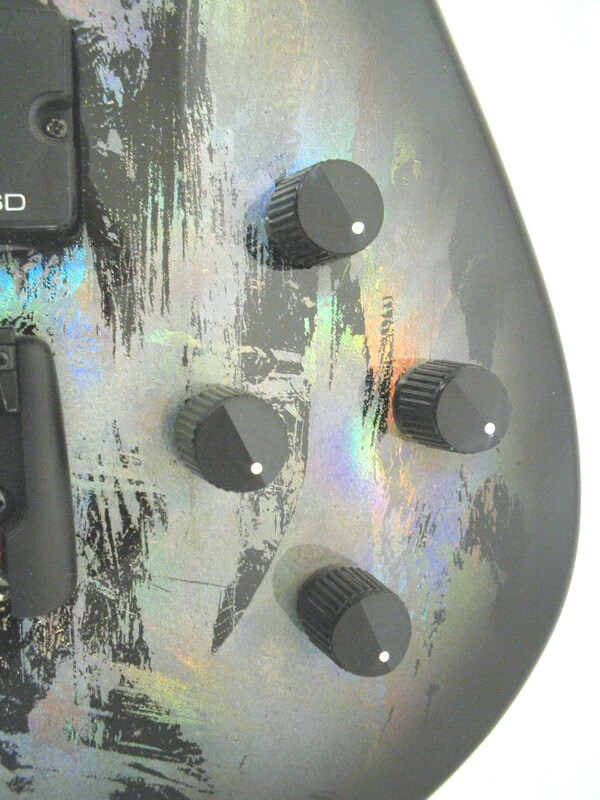 get much more bang for your buck !Wll Schecters from OUR shop are individually customized to play and perform superbly,thanks to our own pro-level fretwork,shielding as well as our own custom design Dual Voice Tone control that offers much more tonal variety than "stock' Schecters sold anywhere else. We also include a premium padded gigbag,AND we cover all Schecters from our store with our own TWO YEAR,free,seasonal maintenance coverage. 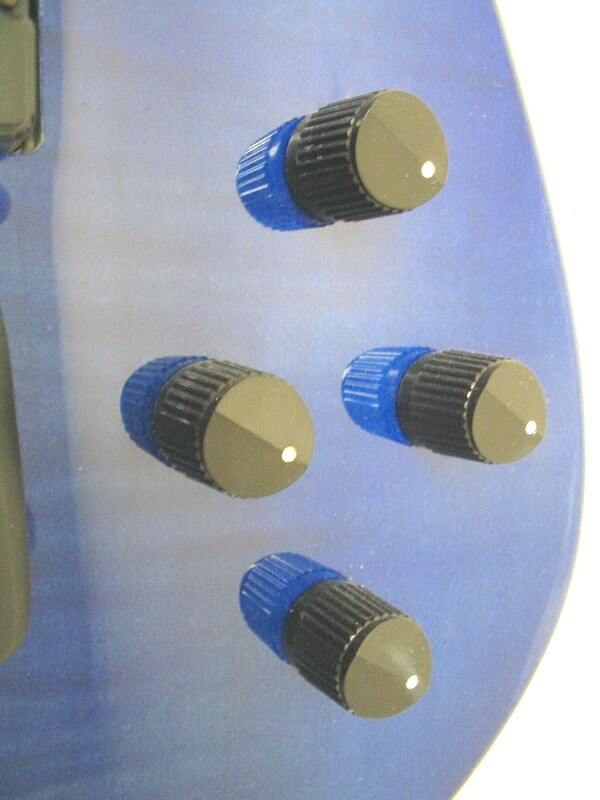 get much more bang for your buck Schecters from OUR shop are individually customized to play and perform superbly,thanks to our own pro-level fretwork,shielding as well as our own custom design Dual Voice Tone control that offers much more tonal variety than "stock' Schecters sold anywhere else. We also include a premium padded gigbag,AND we cover all Schecters from our store with our own TWO YEAR,free,seasonal maintenance coverage. 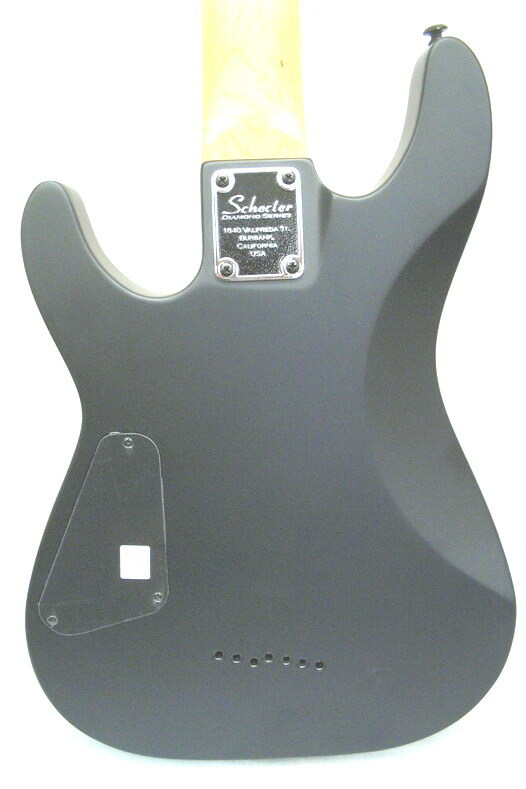 The Schecter PT Special Solid Body Electric Guitar features a swamp ash body and bolt-on maple neck. 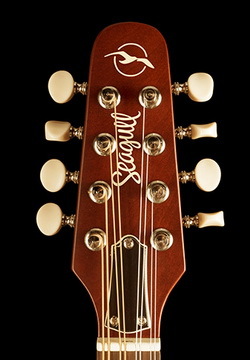 The 25.5 in.-scale neck has a comfortable C profile and 22 extra-jumbo frets. 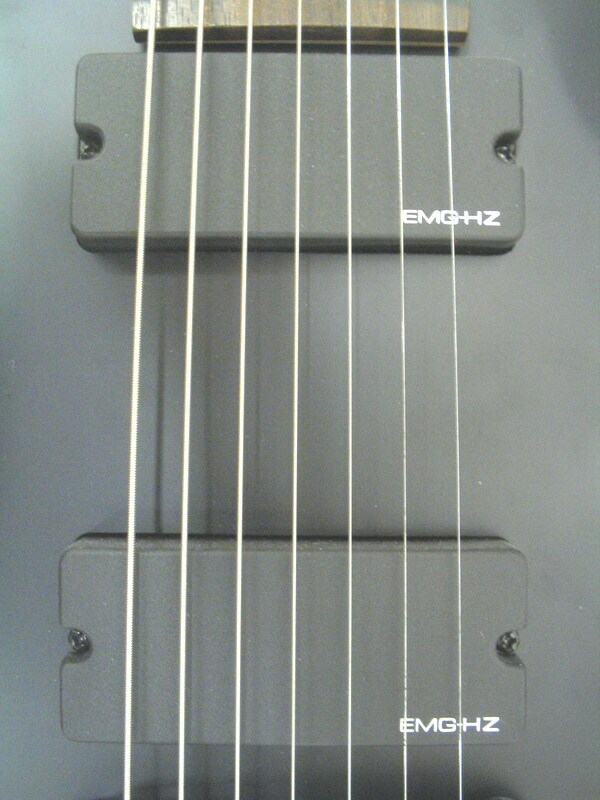 Electronics comprise Schecter Diamond series single-coil pickups for authentic tones with the option of going from parallel to series with the push of the tone control. Nickel hardware includes Grover tuners and an Vintage Ashtray bridge.Our price includes our own custom shop setup:professionally levelled & profiled frets,contoured fretboard edges,superior string action set up for superb,effortless playability,premium padded gigbag and,TWO YEAR free,seasonal maintenance coverage..
Schecter Guitar Research pays homage to their heritage with the California Vintage Collection. Designed for exemplary tone and functionality, the California Vintage Collection offers a familiar feel, style, and playability that has been admired for decades at an affordable price. 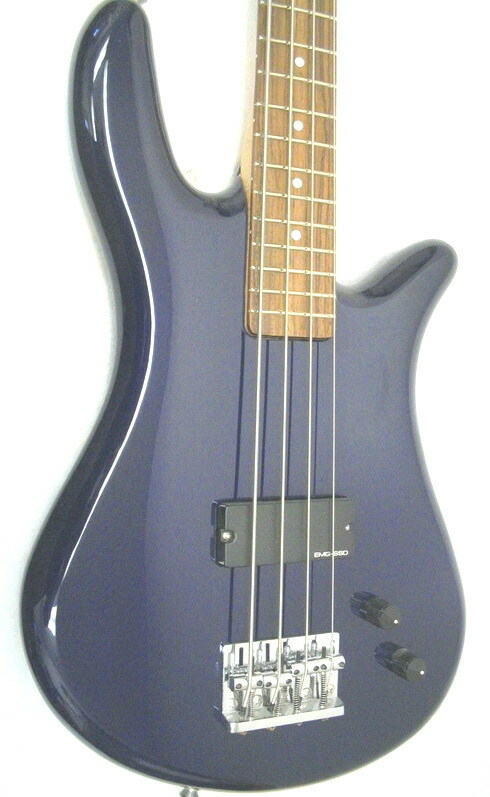 Schecter has paid very close attention to all of the details that make these style guitars unique.Lake Placid Blue gloss finish.The Thin-C Maple neck sports 21 extra jumbo . 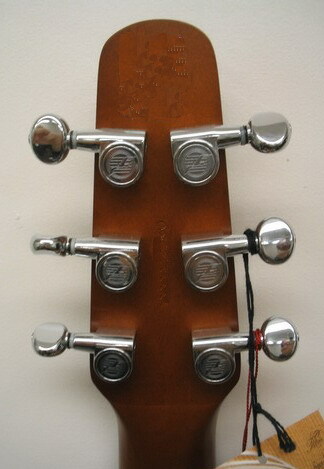 frets.Master volume and tone controls and 5-way pickup switch.Diecast,chrome plated machine heads. 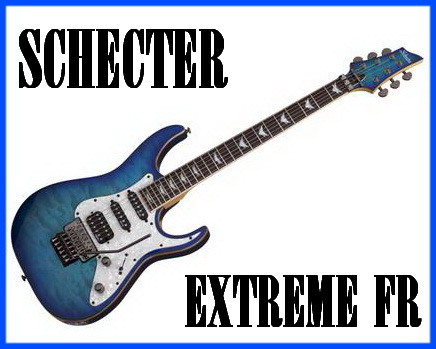 The Banshee Extreme is an incredibly versatile guitar, but also slides into place as being one of the most affordable guitars as well! Fitted with a Schecter hardtail bridge or exclusive Floyd Rose 'Hot Rod' Special Tremolo, this series can handle any player no matter what level. Each guitar features a beautiful quilted maple top with pearloid pickguard, and comes in 4 stunning colors, all highlighted with a matching headstock. Unique vector inlays give this guitar an exclusive style while Diamond Plus pickups give you all the room needed to fine-tune your tone. 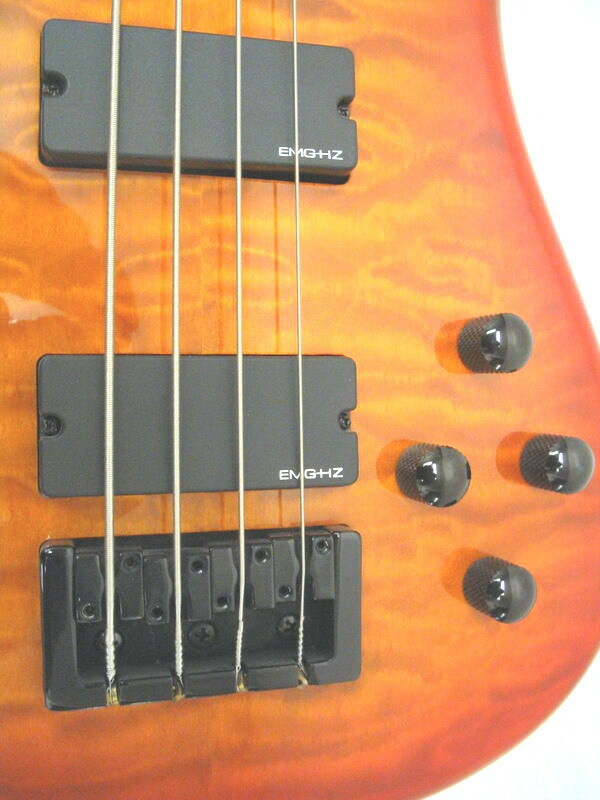 Versatile electronics comprise an HSS pickup configuration with a push/pull tone control to that splits the bridge pickup for single-coil sounds. 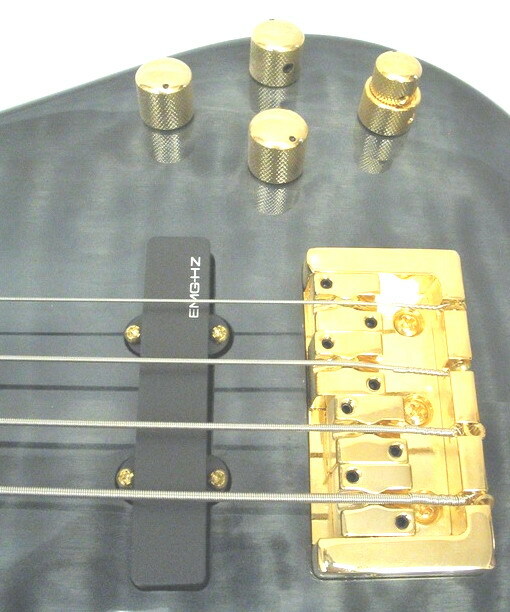 Hardware is top notch and features a Schecter Exclusive Floyd Rose Hot Rod bridge finished in black chrome. 26.5" inch scale,bolt on maple neck with 24 jumbo frets on a rosewood fingerboard.Basswood body finished in satin black-grey.EMG HI-Z humbucker pickups.Grover tuners.Premium padded case included. 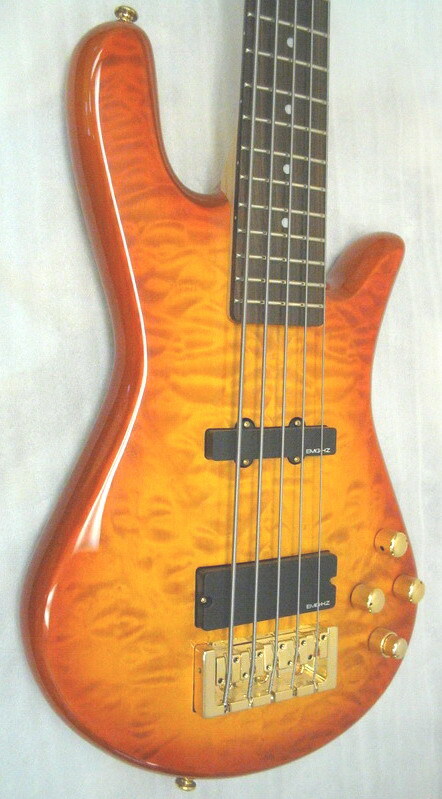 Already own a Schecter or, purchased one elsewhere that you wish could play better? 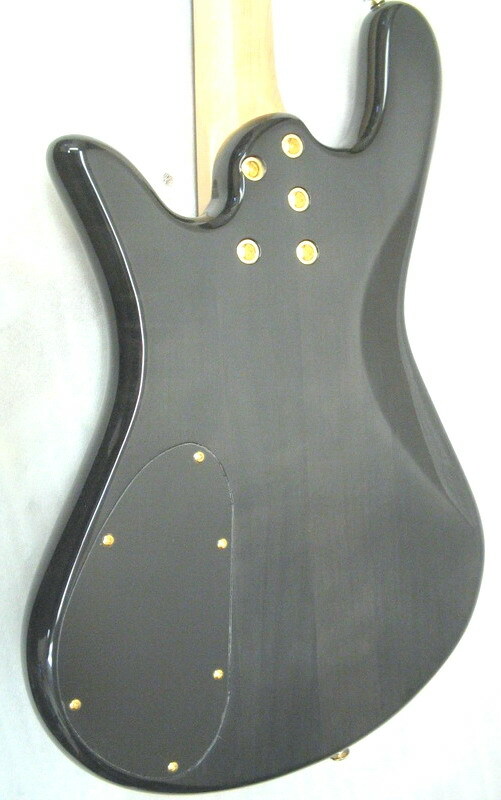 Chances are it has to be set up properly so you get the optimum playability from it.You can also get it customized by us with our own Dual Voice Tone control offering you even more tone voicings as well as a push-to-boost mode for some extra "snap"
With a wider upper and lower bout than your standard dreadnaught along with a slimmer waist, the CW GT Mini- Jumbo Cedar proves to be a guitar that spans the full range of acoustic tones, which makes it an ideal choice for performing live or in the studio. 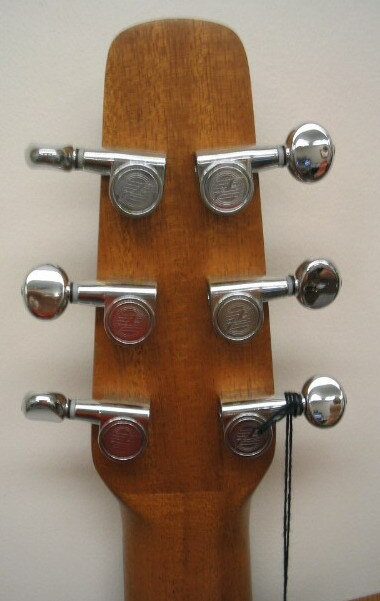 A great series of guitars for the gigging musician. 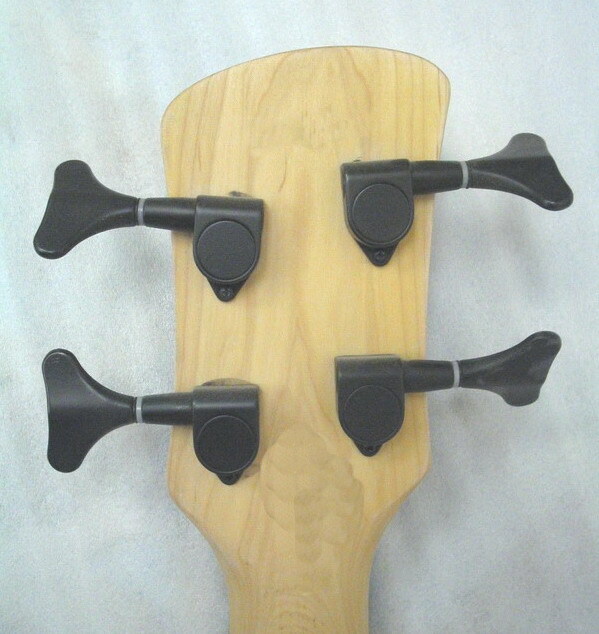 Being CW models, they offer playability all the way up the fingerboard. 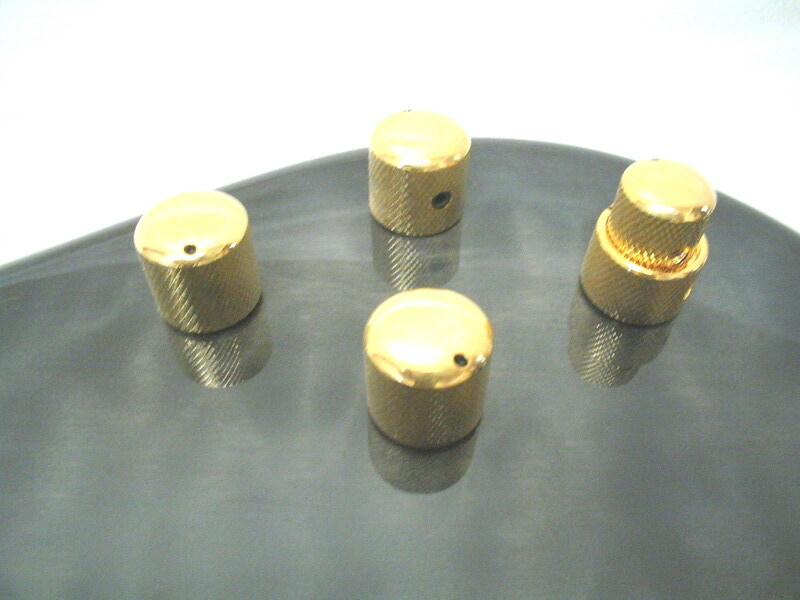 They are also equipped with B-Band A3T electronic systems with undersaddle transducers and built in chromatic tuners. 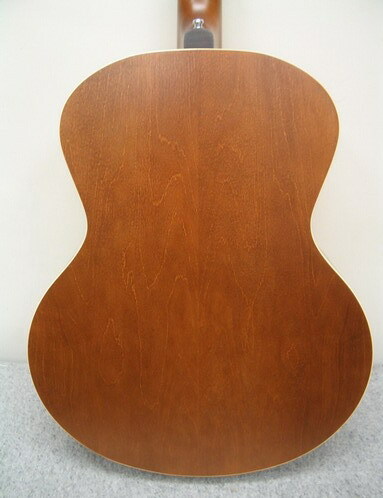 Back & Sides : Red Wild Cherry .Top : Cedar (Select Pressure Tested Solid Top) .Fingerboard & Bridge : Rosewood .Finish : Semi-Gloss Custom Polished Finish with Gloss Top .Tusq® nut & saddle by Graphtech. 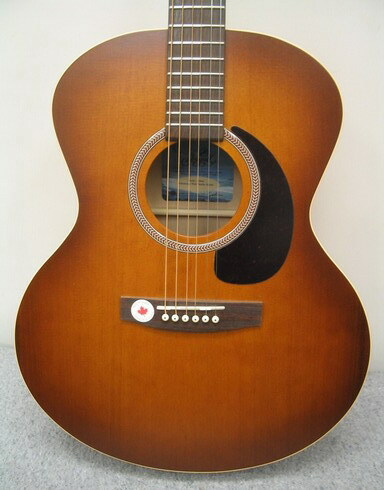 With a wider upper and lower bout than your standard dreadnaught along with a slimmer waist, the Woodland Mini Jumbo proves to be a guitar that spans the full range of acoustic tones, which makes it an ideal choice for performing live or in the studio.Back & Sides : Red Wild Cherry.Select Pressure Tested cedar top.Rosewood fingerboard & bridge.Semi-gloss custom polished finish.Tusq nut & compensated saddle.Includes our own intensive custom shop setup for superb playability.MADE IN CANADAPremium 25mm padded case included. 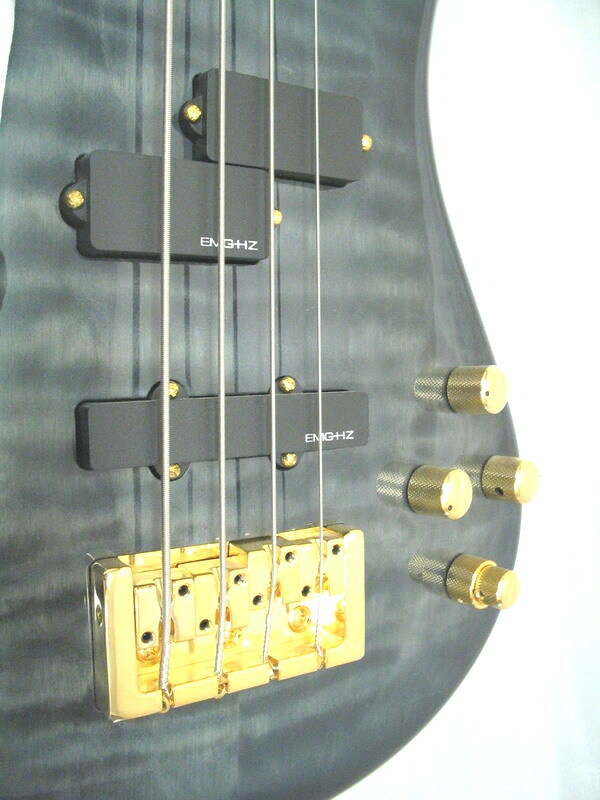 Same as above but fitted with a B-band model A3T pickup & preamp system. 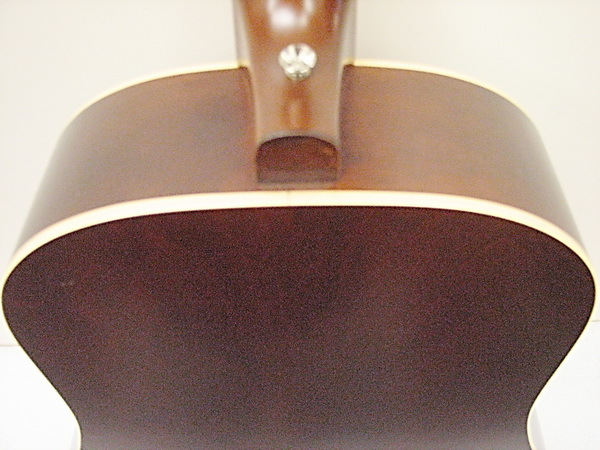 The mellow sound of its mahogany back and sides contrasts beautifully with the crisp and rich tones of the solid spruce top. 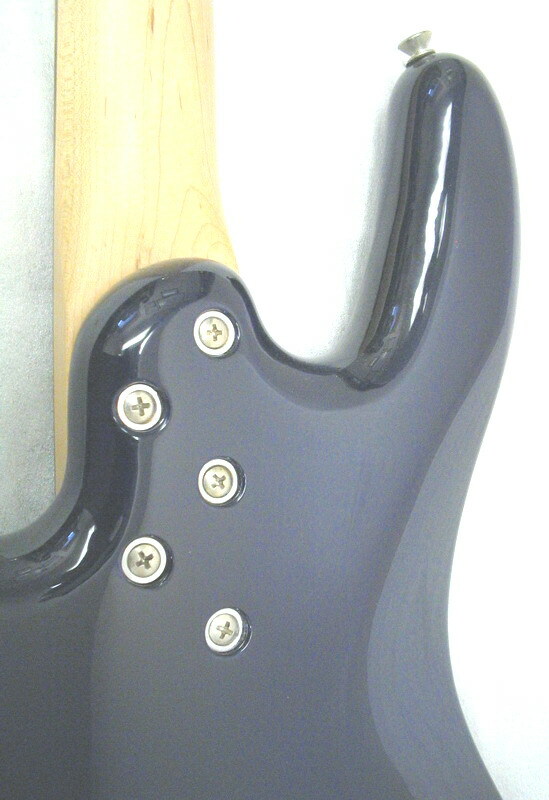 A Custom Polished finish provides a satiny sheen found on all Simon & Patrick semi gloss models. 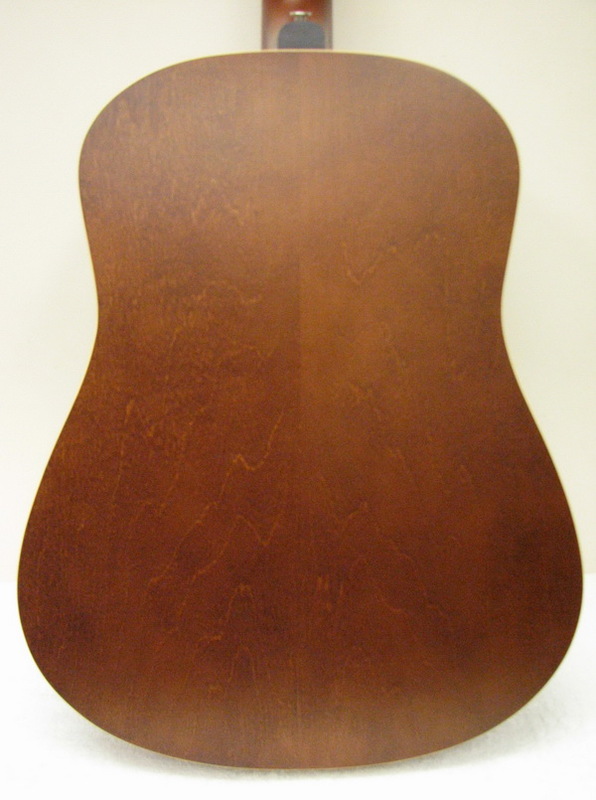 Wild cherry back & sides.Select Pressure Tested Solid Spruce Top. 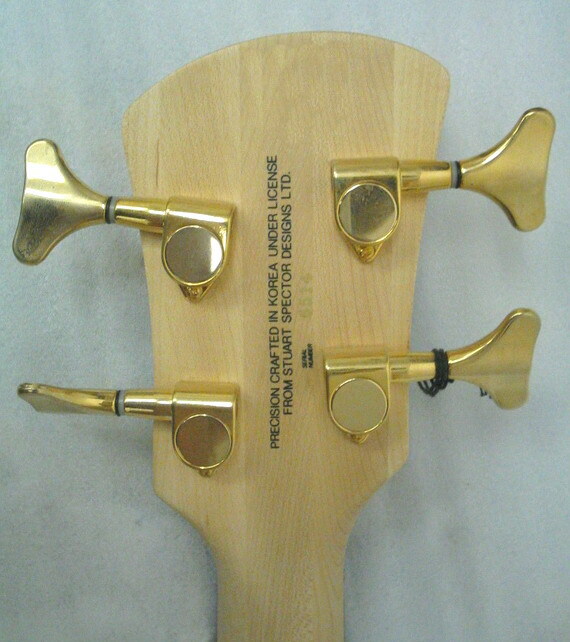 Rosewood Fingerboard & Bridge.Tusq nut & compensated saddle. 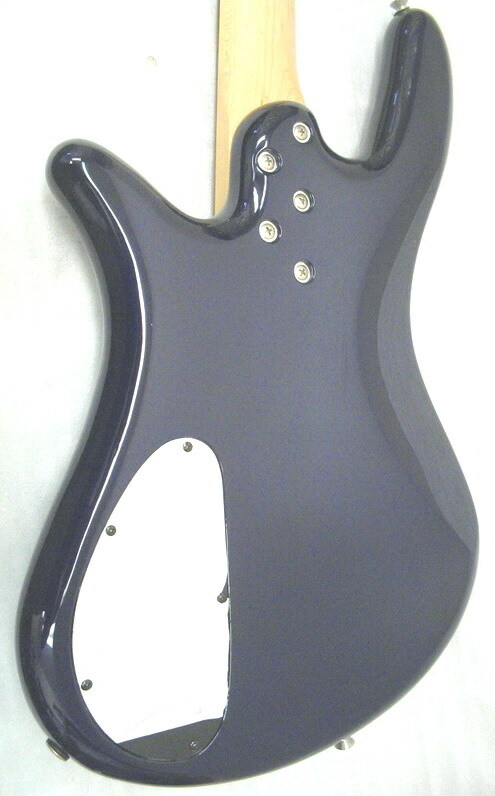 Includes our own extensive custom shop setup for superb playability. 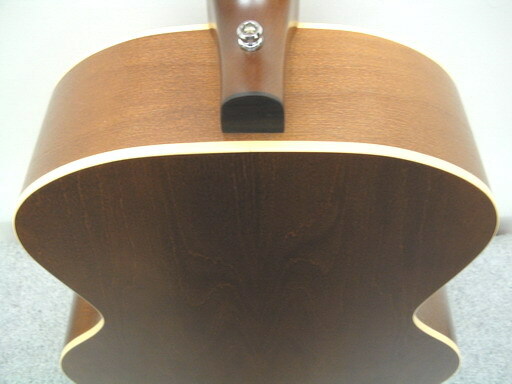 All our "straight" acoustic guitars(or yours) can be retrofitted in our custom shop with any variety of under-saddle pickup and pre-amp systems, including the A500 System with a true 5-band equalizer delivering robust,tight bass,silky smooth,transparent mids & crystal clear high end response along with dual variable mid-freq to help tame nasty feedback,as well as a mute function and low battery indicator. Ask Gilles for a quote. 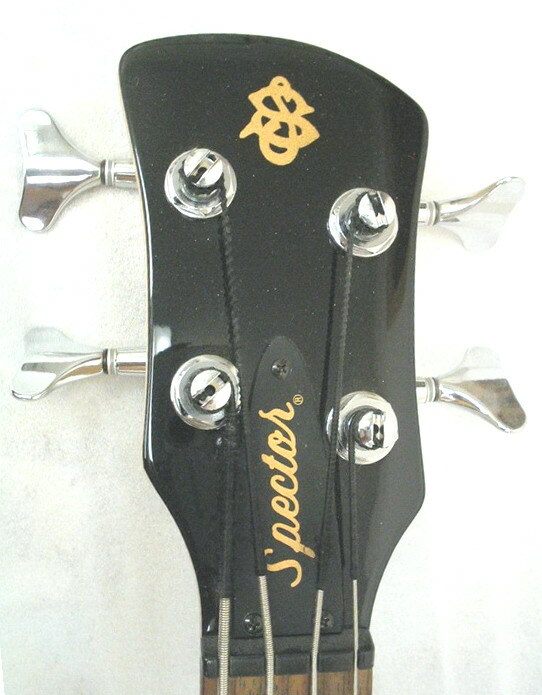 Already own a S&P or, recently purchased one elsewhere that doesn't seem to play right & wish would play better? 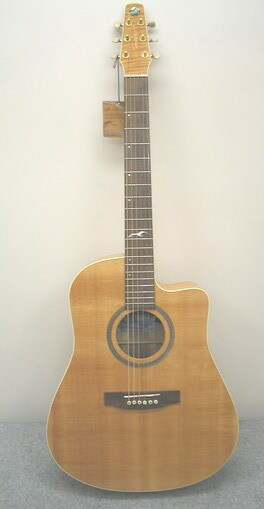 Chances are it has to be set up properly so you get the optimum playability,comfortability and tone from it. 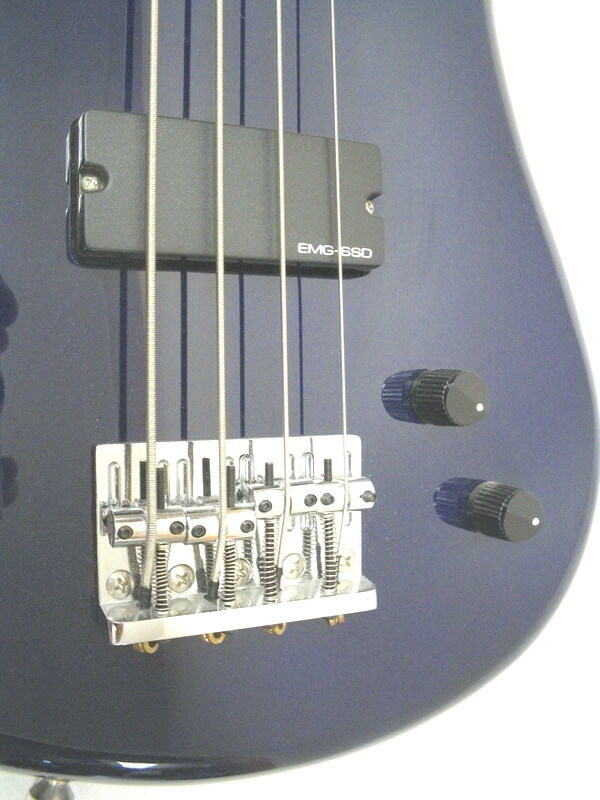 The PERFORMER by SPECTOR® models were designed with the goal of offering a superior-quality entry-level bass that would be suitable for any setting. 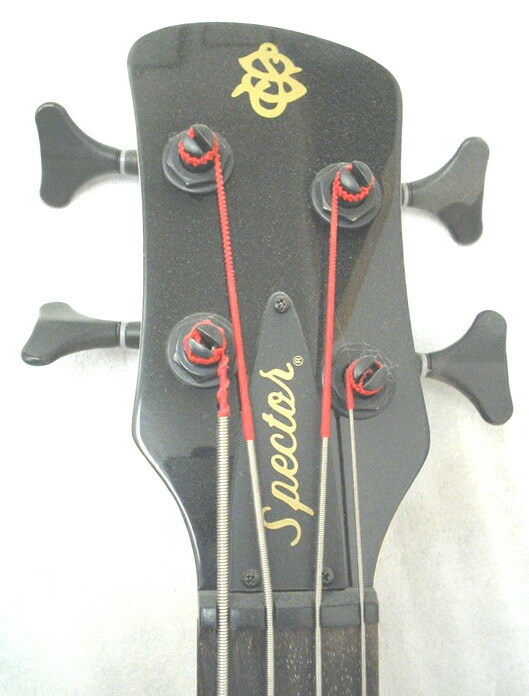 From the music classroom to the sanctuary of churches and in the recording studio to the stage, the PERFORMER by SPECTOR® bass is an affordable alternative to the ubiquitous clones that most musicians associate with entry-level guitars. 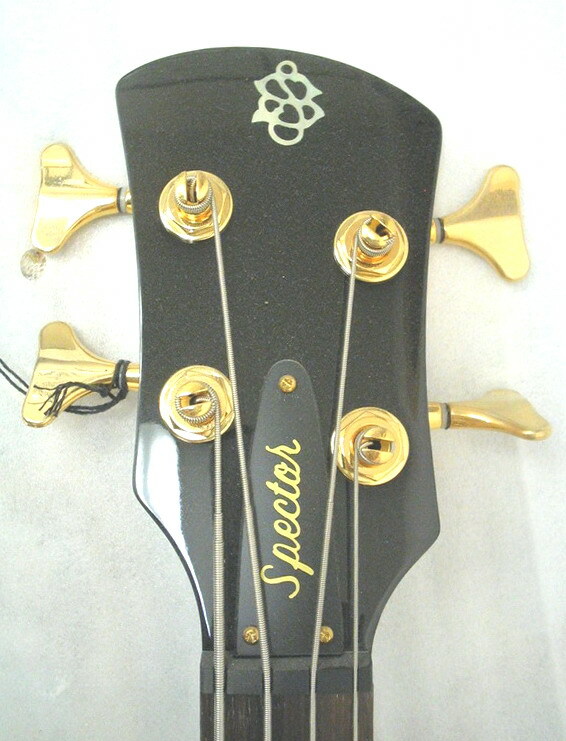 This bass is a breath of fresh air for those looking to play an instrument that offers that special set of qualities that can best be defined by a single word, "SPECTOR. 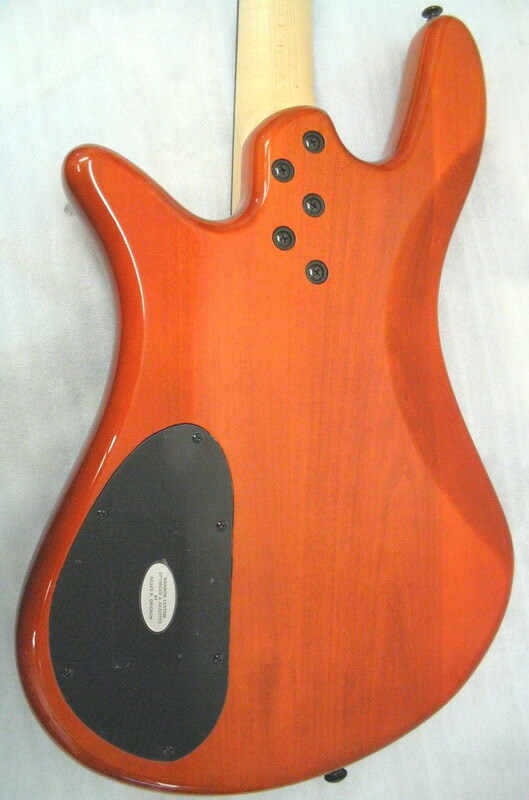 This model features a solid alder body with wraparound contours.The maple neck features a gentle "D" contour that your hand can wrap around without fatigue,even after hours of playing.It's secured with five bolts for added stability and sports a 34" inch scale,24 fret rosewood fingerboard.The single SSD soapbar pickup is controlled by a master volume and tone control.The chrome plated diecast tuners ensure smooth & quick tuning. Padded case included. 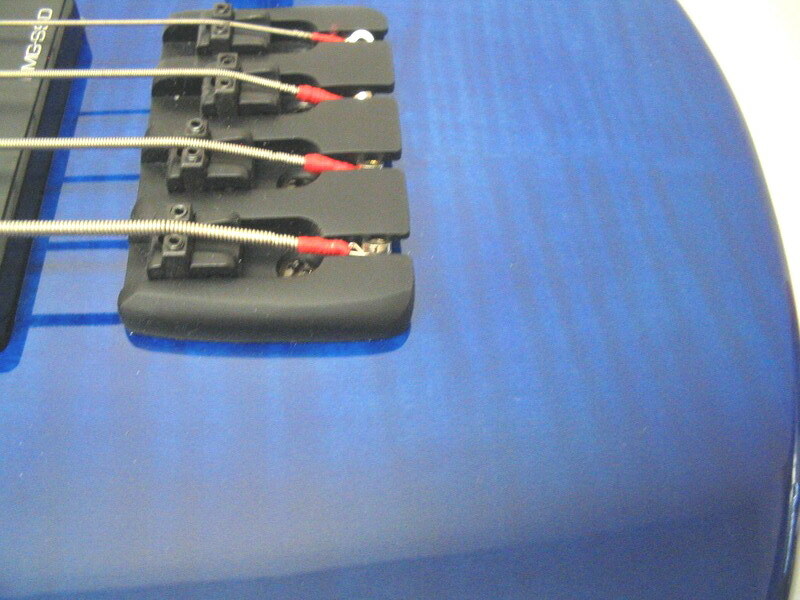 Rainbow Custom Shop setup including fretwork & 3/32" action Dual Tone Blend control for more tonal variety. 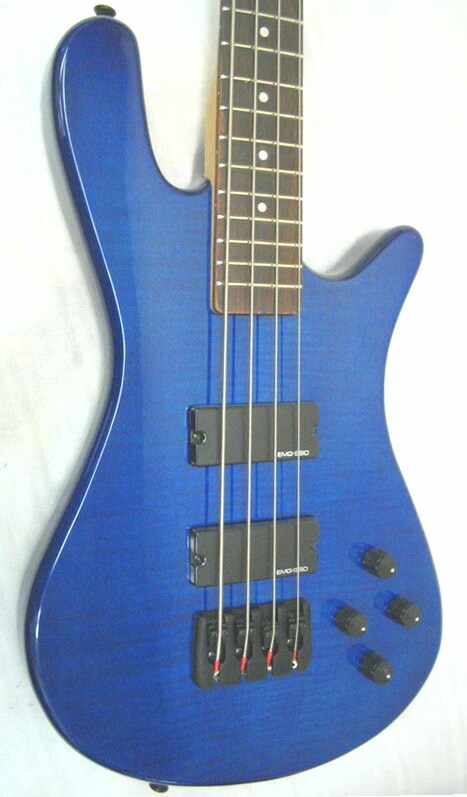 Solid basswood body with tigerstripe transparent blue finish,5 bolt maple neck w/rosewood fingerboard. 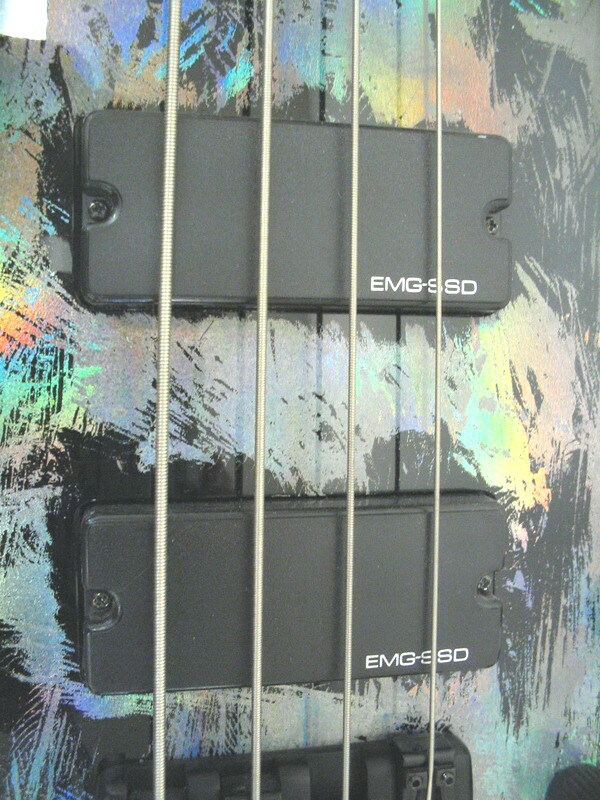 Dual EMG SSD soapbar pickups.solid brass cast bridge,diecast,adjustable tuners w/powdercoat black finish hardware. 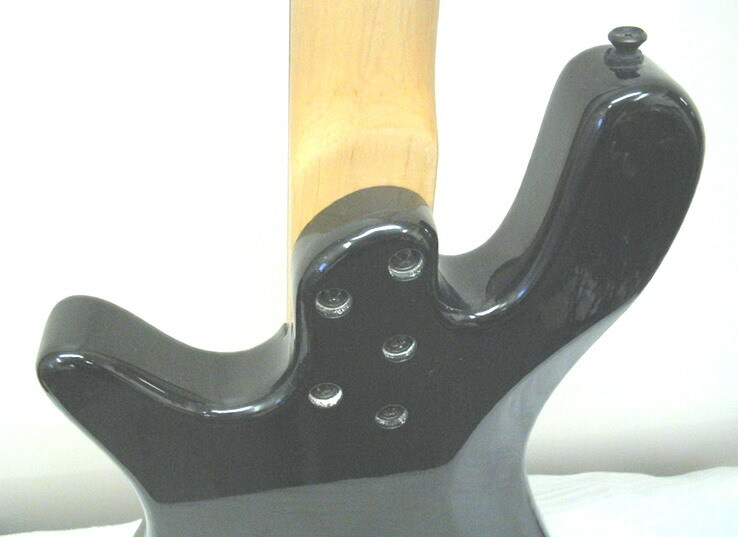 Solid basswood body in HoloFlash over black finish,5 bolt maple neck , 24fret,34" scale rosewood fingerboard. 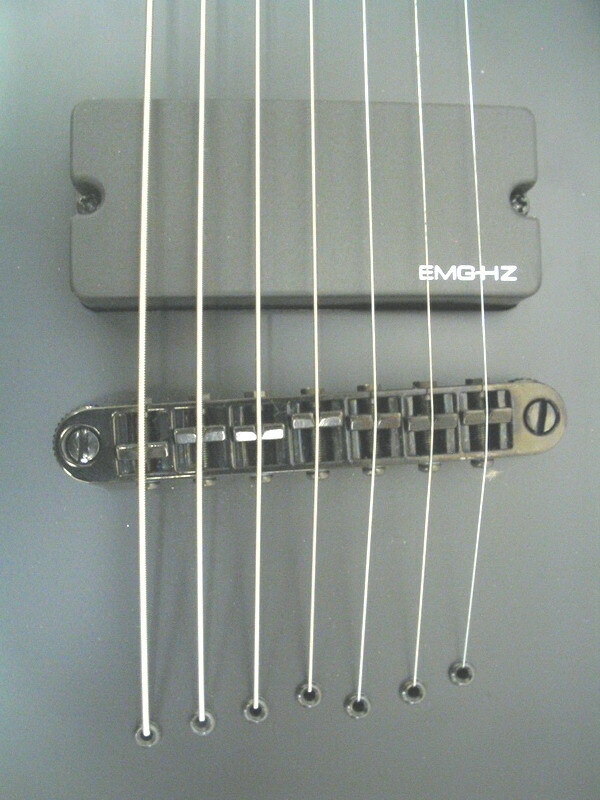 EMG Hi-Z pickups (x2), solid brass cast bridge,diecast,adjustable tuners w/powdercoat black finish hardware. 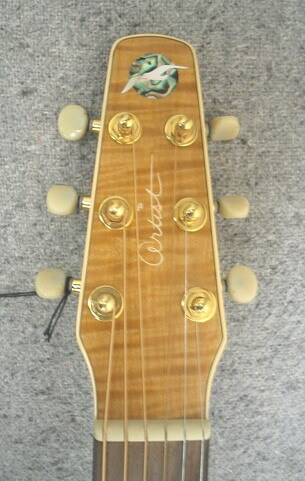 Curly maple top with holographic finish that changes reflections when lights hit it from different angles. 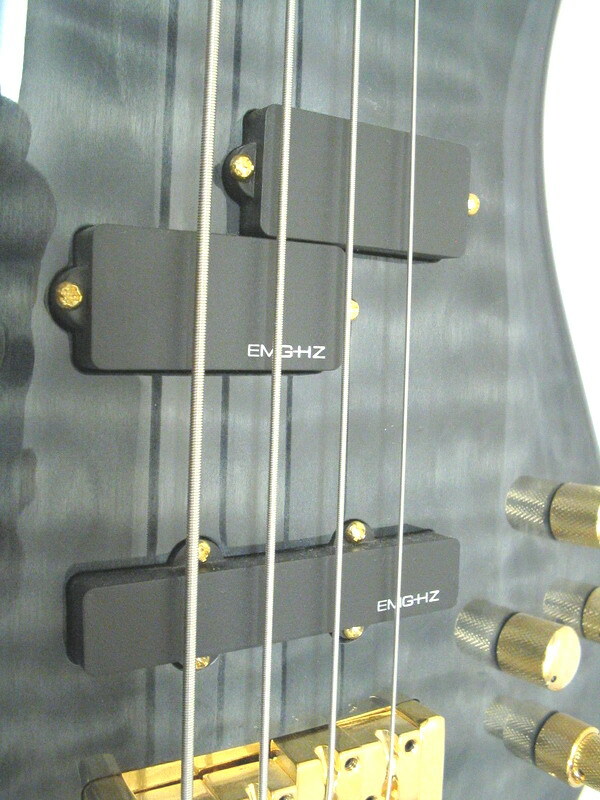 Solid basswood body w/slate grey gloss finish, EMG Hi-Z PJ pickups, EMG active 3 band equalizer. 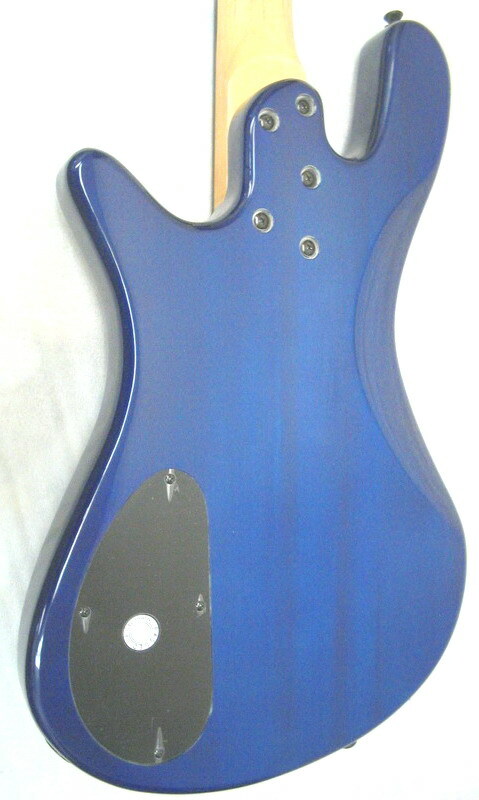 Original NS curved, ”tummy cut”carved body. 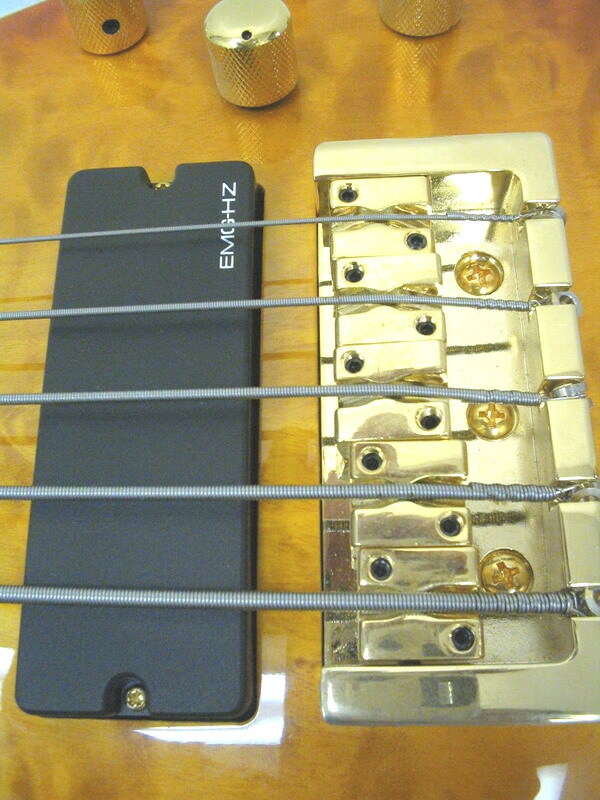 Gold plated diecast bridge & tuners. 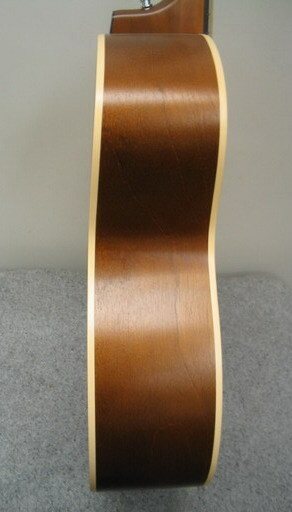 3 ply, 34” scale maple neck w/rosewood 24 fret fingerboard. Shop customized. Hardcase included. The Legend Classic features the NS rounded body style in basswood with a gorgeous quilted maple top. 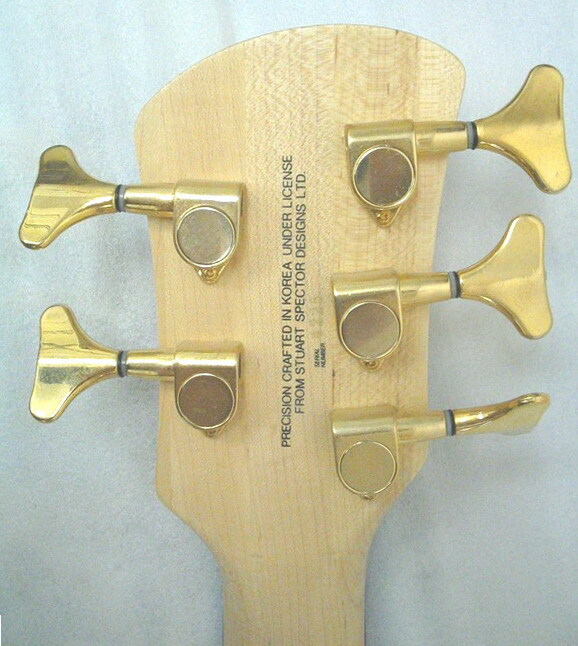 The neck is a FIVE bolt-on, 3-piece rock maple with a rosewood fingerboard. 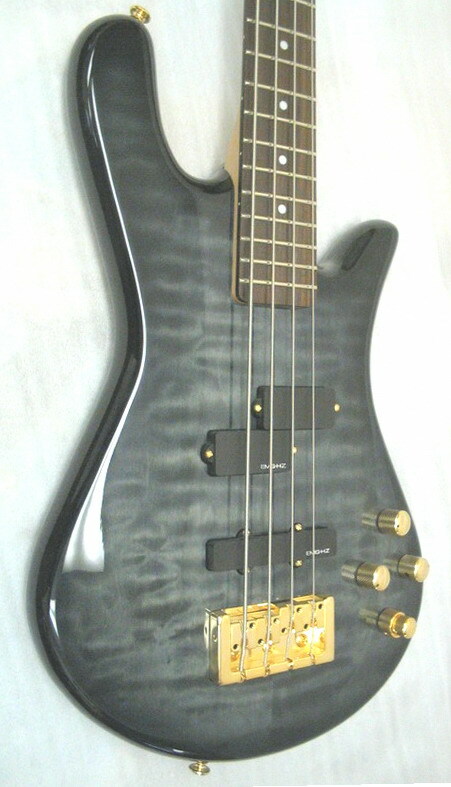 It is equipped with USA-made EMG-SSD pickups and the Spector Tone Pump Jr. preamp with 2-band active EQ. 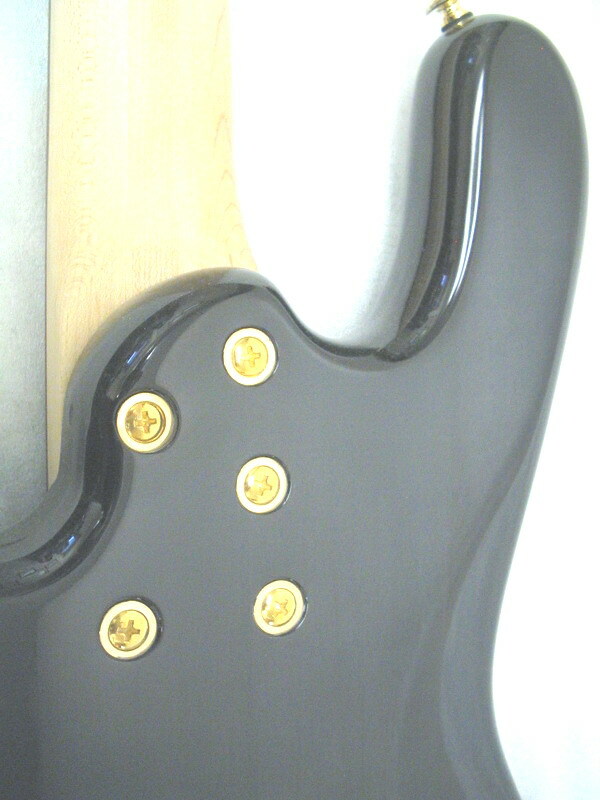 Deluxe black powdercoat hardware.Price includes our custom shop setup,hardshell case, and our own TWO YEAR free seasonal maintenance coverage. 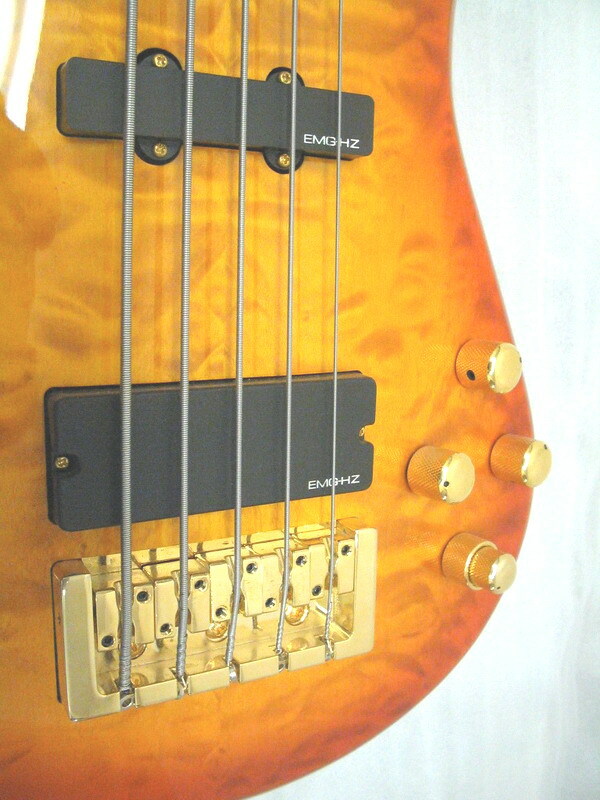 Solid basswood body w/amber quilt gloss finish, EMG Hi-Z soapbar & J pickups, EMG active 3 band equalizer. 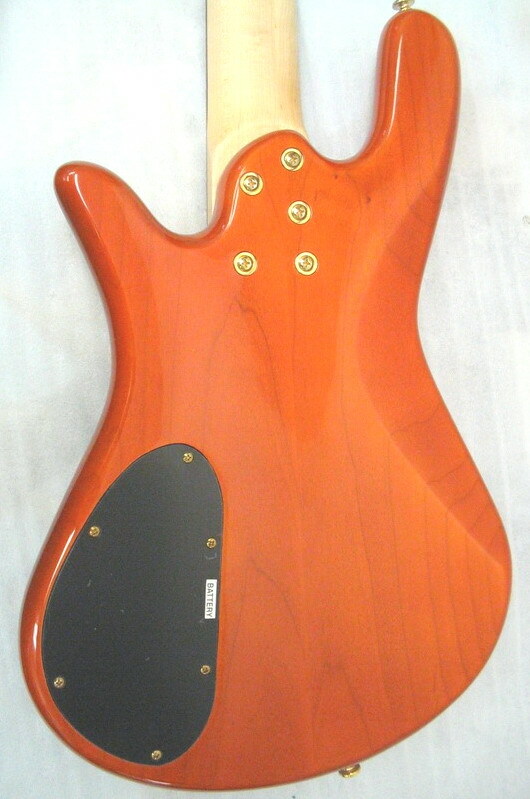 Original NS curved, ”tummy cut”carved body. 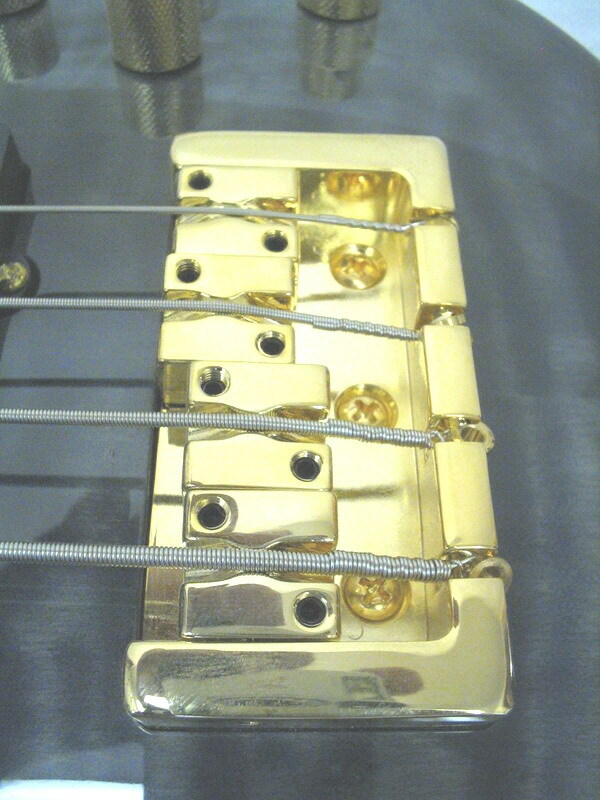 Gold plated diecast bridge & tuners. 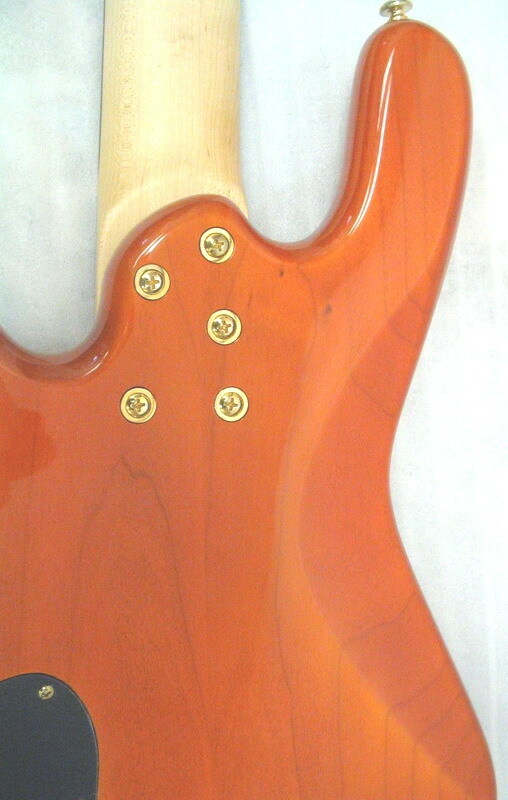 3 ply, 35” scale 5-bolt maple neck w/rosewood 24fret fingerboard. Shop customized. 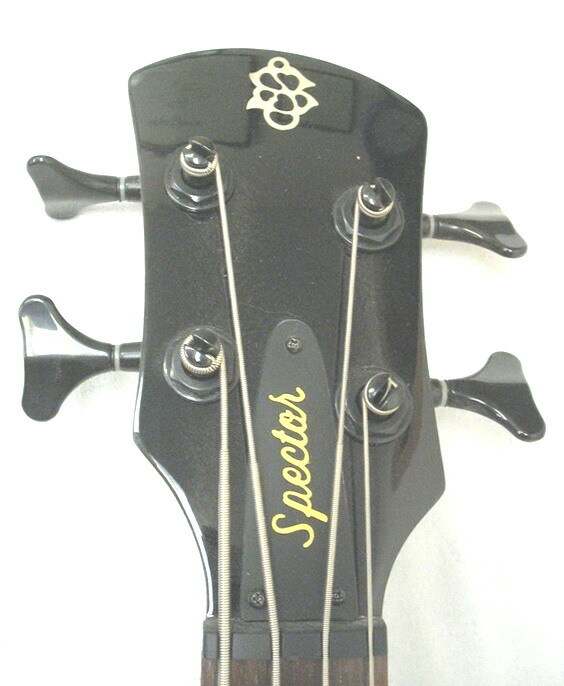 Already own a Spector or, recently purchased one elsewhere that doesn't seem to play right or wish would play better? 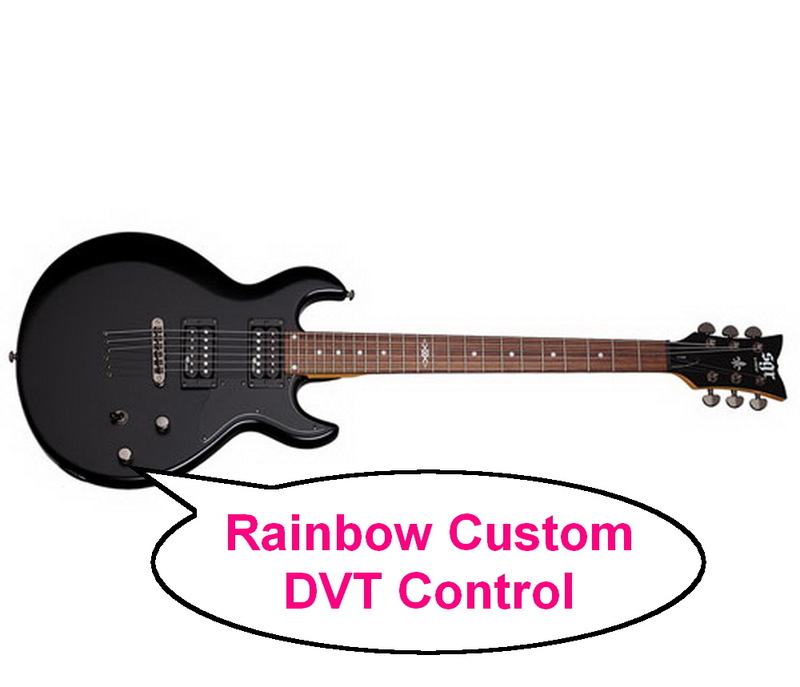 Chances are it has to be set up properly so you get the optimum playability from it.You can also get it customized by us with our own Dual Voice Tone control offering you even more tone voicings as well as true bypass mode for some extra boost. Unlike the more common Stagg models sold elsewhere,Stagg Select model guitars are hand picked by us to be optimized in our own custom shop,to fully realize and enhance their "hidden potential" that tends to get easily overlooked in the mass marketplace these days.Our custom shop setup and attention to detail definetely sets thesespecific models apart from our competitors offerings,with superior reliability and superb playability that even rivals higher priced counterparts. These new solid body "three letter" clones feature a comfortably contoured alder body and hard maple set neck for added sustain.Dual humbuckers are controlled by a 3-way pickup switch,master volume and tone control, re-voiced in our custom shop for a more musical tone and response. 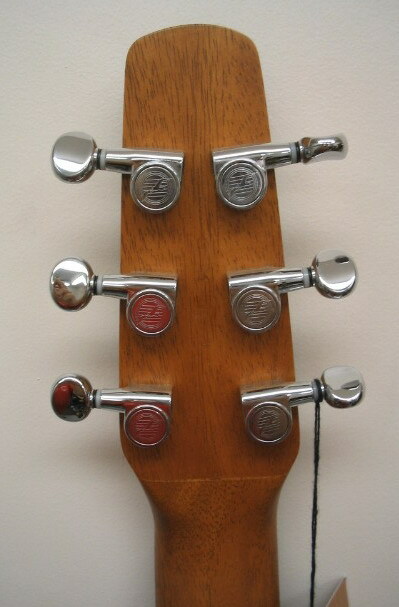 Die-cast,sealed tuners maintain tuning stability.The unique bridge allows either fixed bridge or vibrato bridge operation. 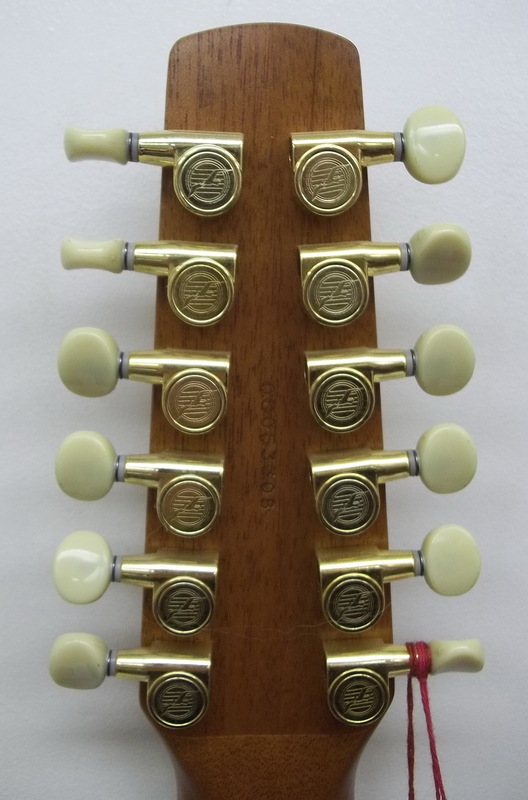 and chromatic tuner..Chrome ,diecast machine heads for stable tuning.Ivory ABS binding.Our price includes our own ,superior custom shop setup for superb playability,as well as a premium quality padded gigbag and our own free , TWO YEAR seasonal maintenance coverage. Big, blonde and beautiful. 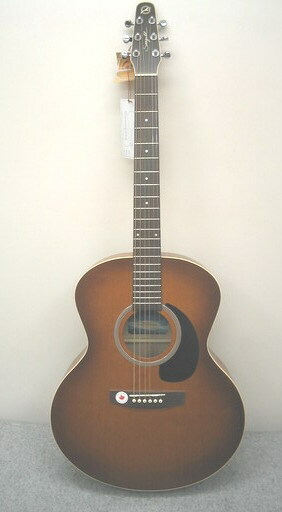 The Alvarez AJ80 Jumbo is a powerhouse guitar and incredible value. 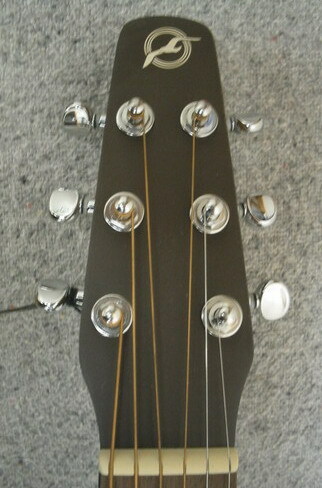 Now fitted with the fantastic LR Baggs StagePro EQ and Element pick up to optimize live performance. 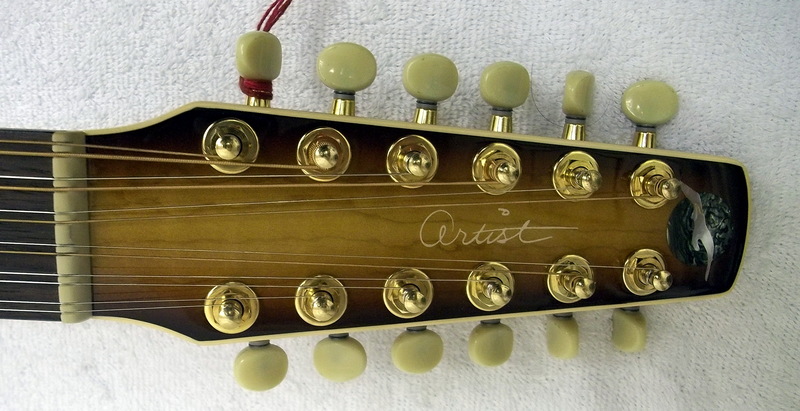 This 12-string model truly sings. 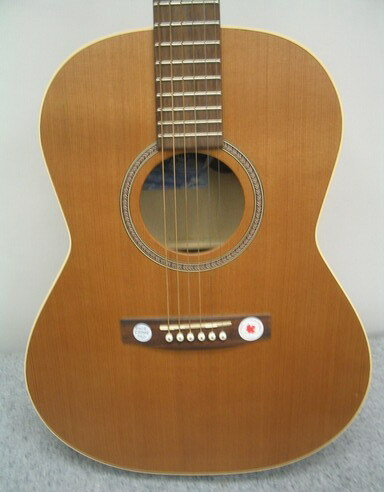 This stunning 12 string electro acoustic guitar from Alvarez possesses a superb richness and fullness that you simply cannot achieve from a standard 6 string guitar. 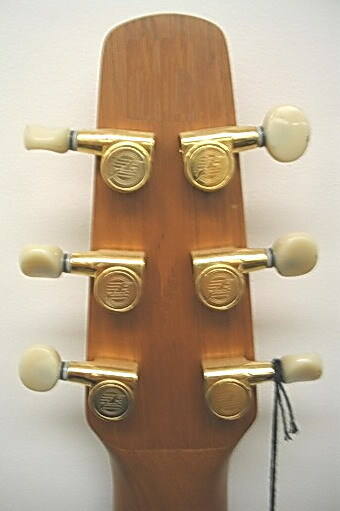 The strings are tuned in octaves with those of the upper two courses tuned in unison, providing a full tone. The Alvarez AJ80CE-12 12-String Electro Acoustic Guitar is the perfect choice for adding a depth to your performances, as well as versatility. 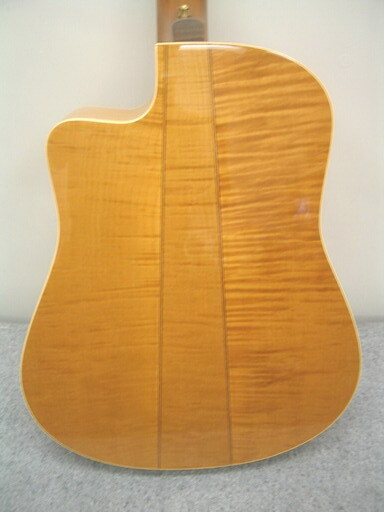 Solid A+ Sitka spruce top with maple backs & sides.Maple neck with rosewood fingerboard.Real,pure bone nut & saddle for vintage tone. 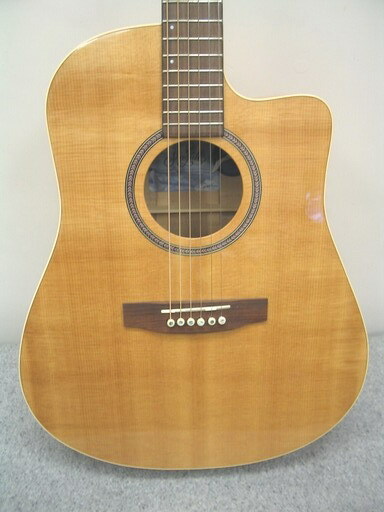 The AJ80CE-12 Electro Acoustic Guitar is equipped with an LR Baggs StagePro EQ and Element Pick Up that delivers a powerful volume for larger events. 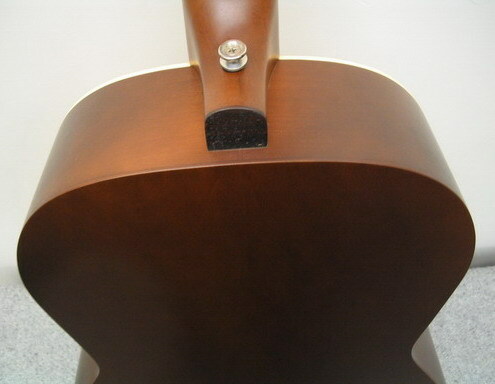 This innovative Element mirrors the soundboard’s actual movement as you play, and features a flexible film sensor only 2 thousandths of an inch thick which picks up the guitar’s most delicate nuances. 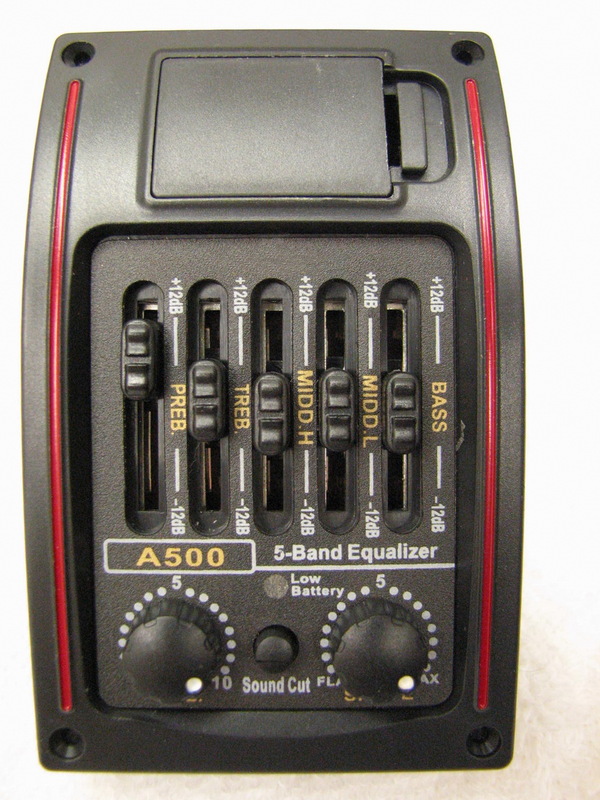 In addition, its discreet EQ sidemount located on the upper bout, allows you to effortlessly achieve the perfect tone, and also tune up with its additional built-in tuner. 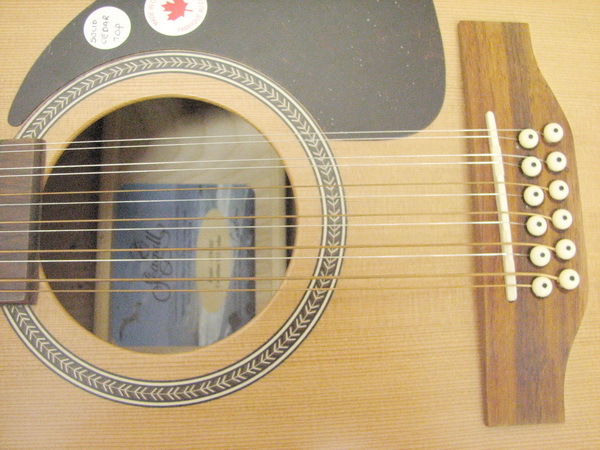 The Cort MR 710-12 features a carefully selected Solid Sitka Spruce for great tone that actually sounds better as it ages over time.The top's soundhole is finished with a multi-section abalone inlay.The double-bound body, sides and 2-piece back are made of mahogany and features a venitian cutatway,allowing easy access to the uppermost frets.The mahogany neck with it's real ivory binding sports “mini” sealed ,diecast tuners with new soft-touch buttons, offer smooth ,stable tuning.The Fishman Presys preamp features rotary volume control and a three band active tone control section,a switchable phase that helps to reduce unwanted feedback when playing live,as well as a built-in chromatic tuner with a mute function to silences the output while you tune up.The Sonicore under-saddle pickup with it's accurate,balanced response ,provides a poweful and versatile output ready for any amp or PA system. 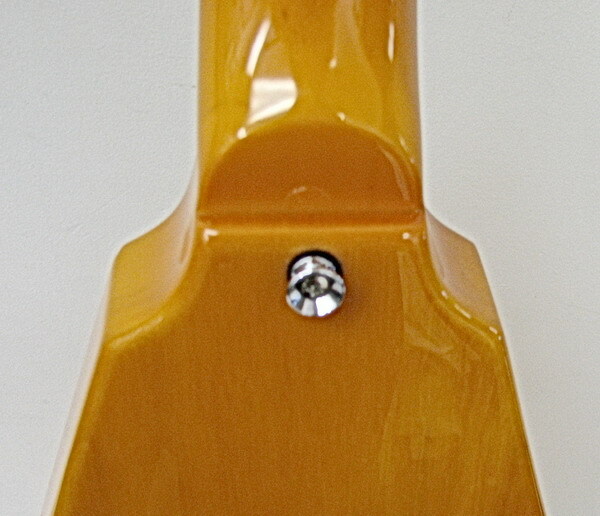 The MR also has a real bone nut,hand precisely cut in our shop for excellent comfortability as well as a bone bridge saddle,compensated for more “in-tune” accuracy along the span of the fingerboard.Our price includes our own custom setup for better than factory spec playability,AND formfit HARDSHELL case. 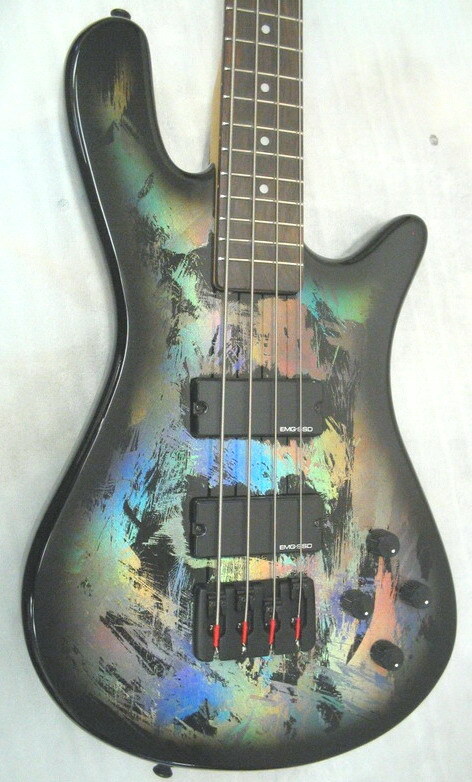 Features a gorgeous High-gloss Custom Polished Burst Finish on both the body and the bound headstock. 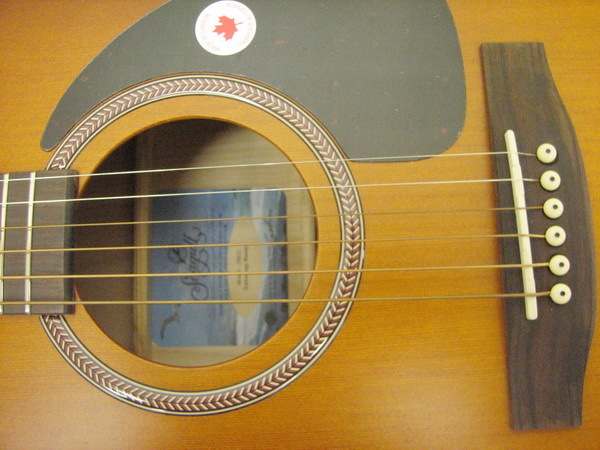 Like all Artist series models, Studio Bursts are proudly and meticulously crafted in Canada. 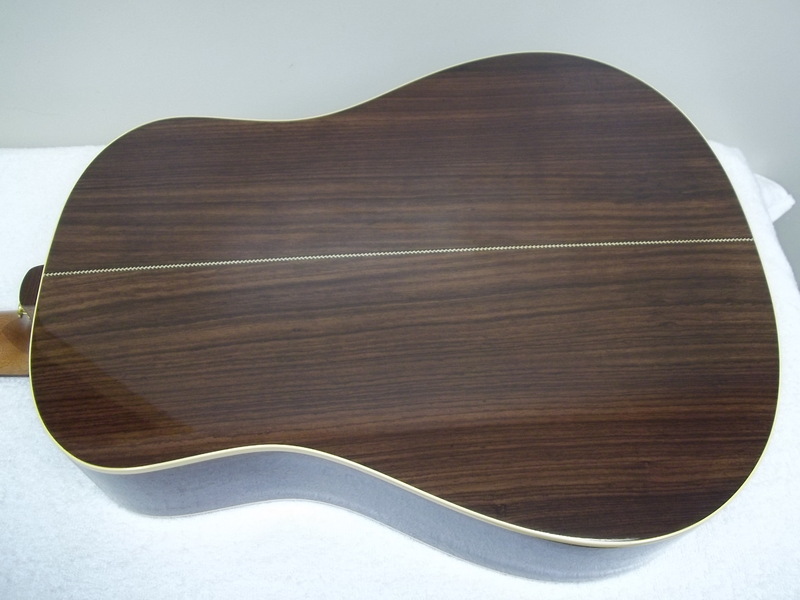 They are artfully created in a secluded acoustic studio, where some of the finest luthiers in the business are able put their care and time into bringing them to life. 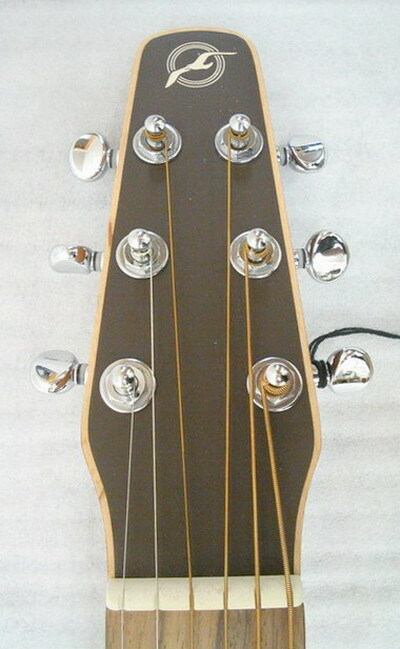 With the same outstanding sound and features found throughout the B20 series, this model represents an opportunity to enjoy a fully professional sound and feel in an affordable 12-string guitar with unmatched stability.Featuring a select solid spruce top for enhanced clarity and projection,silver leaf maple neck,wild cherry back & sides for sweetened tone.Includes our custom shop setup and premium padded case. Learn more here. 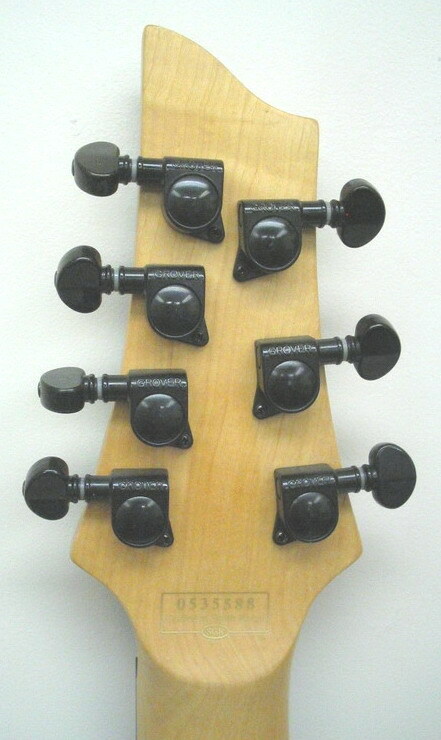 Semi-gloss custom polished finish.Double bound body,bound headstock.Diecast,adjustable tuners. 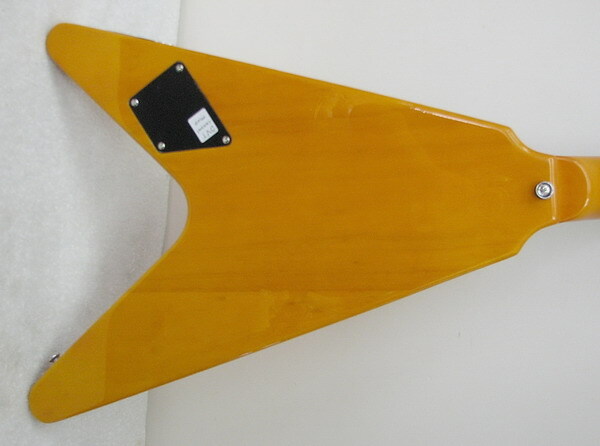 Includes Rainbow Custom Shop setup including fretwork & 3/32" action.